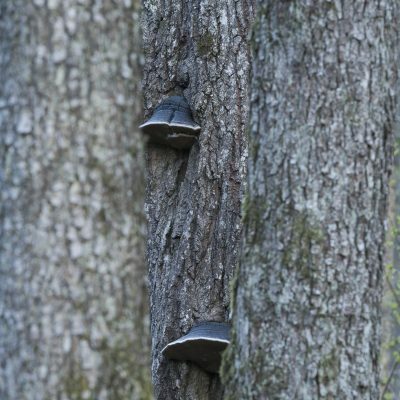 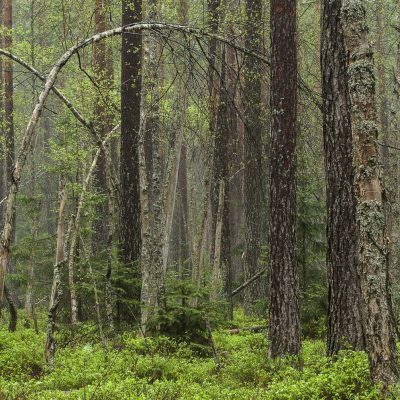 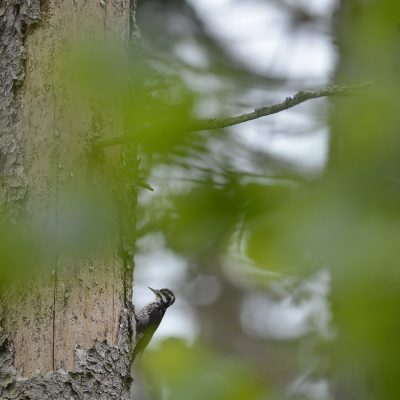 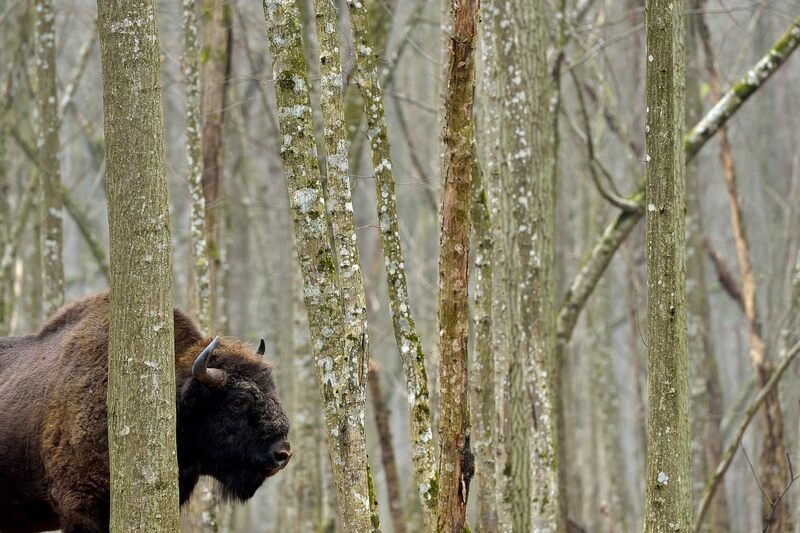 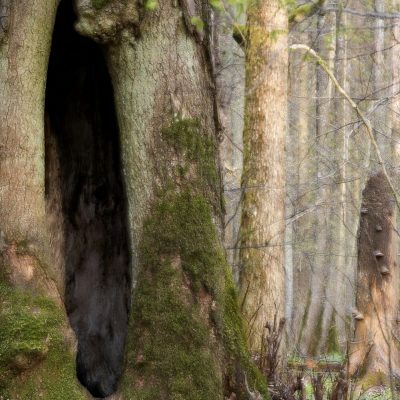 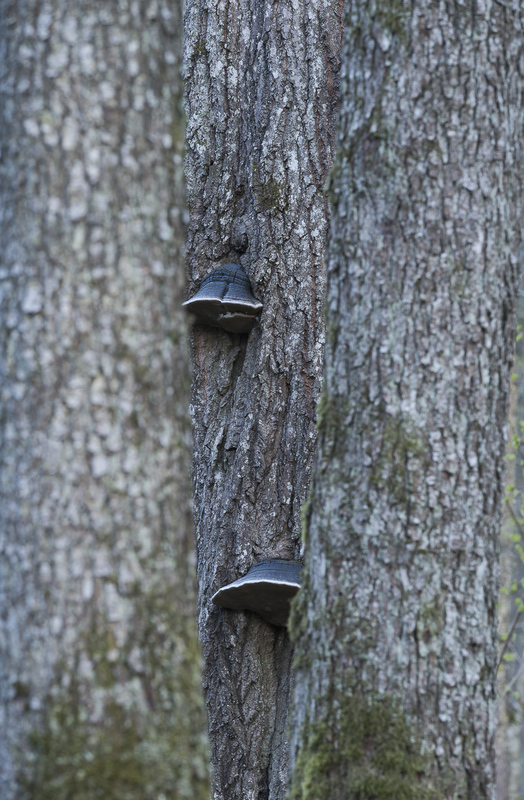 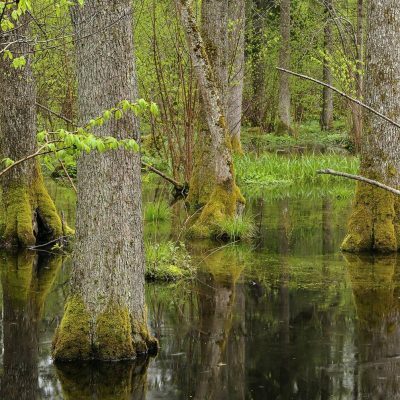 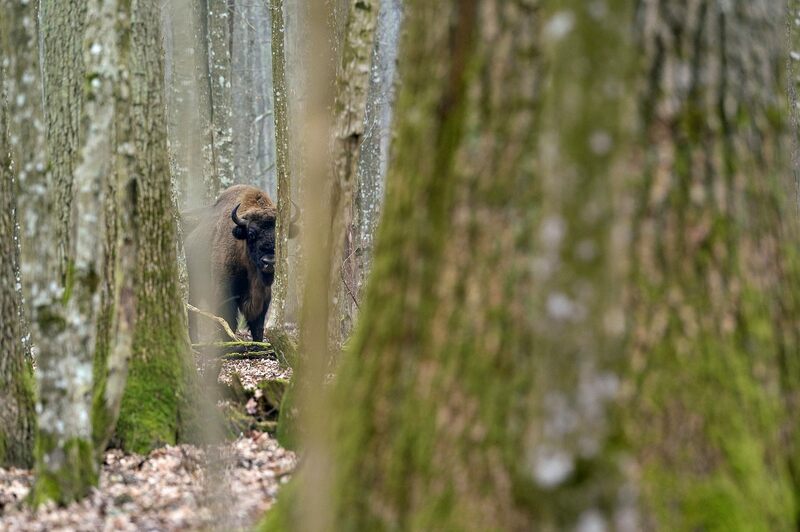 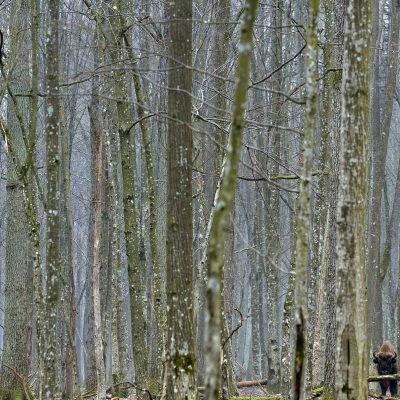 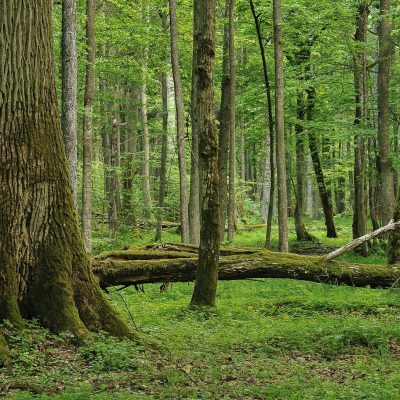 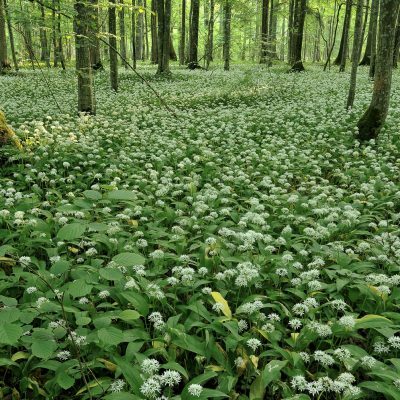 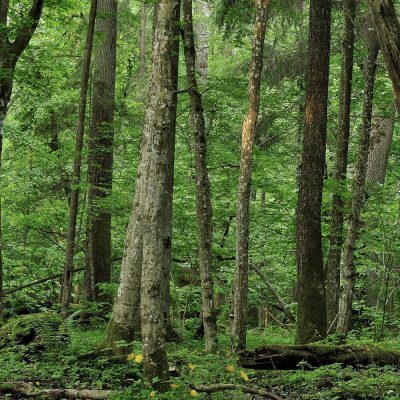 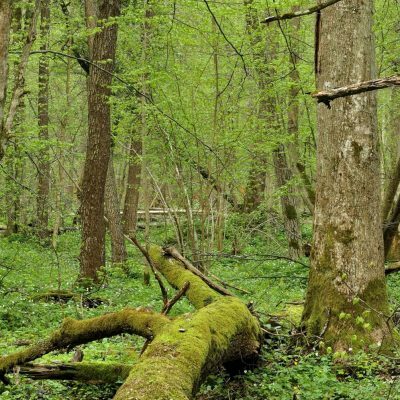 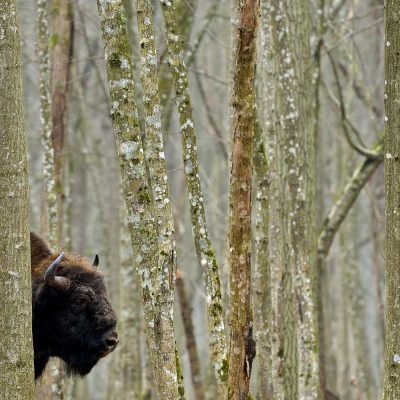 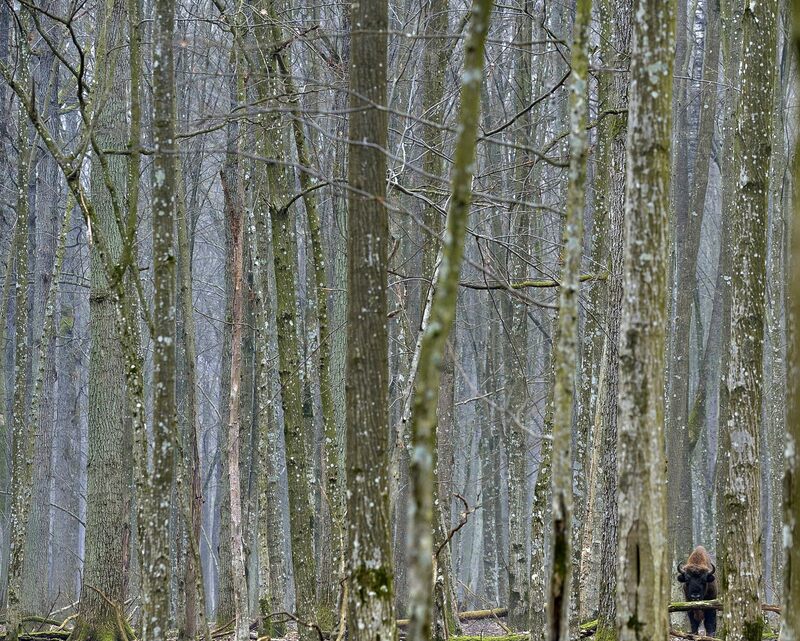 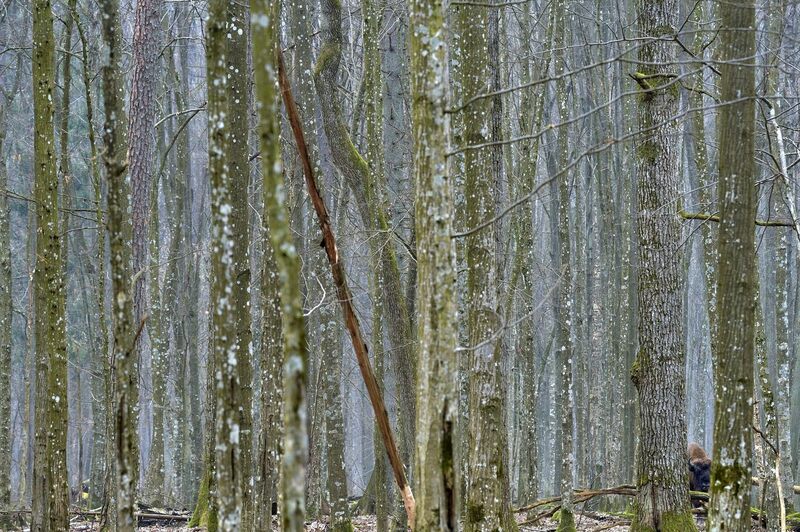 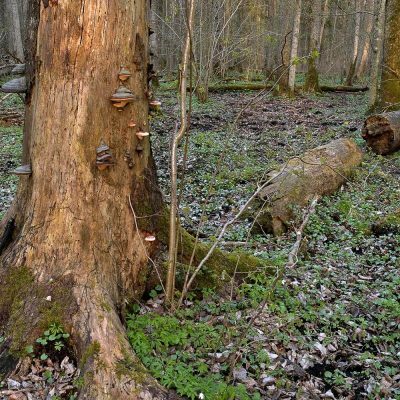 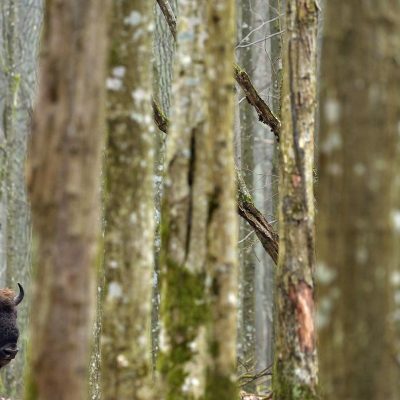 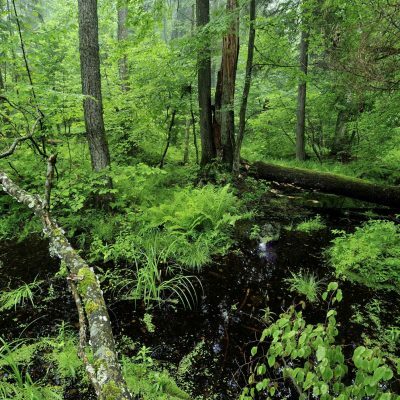 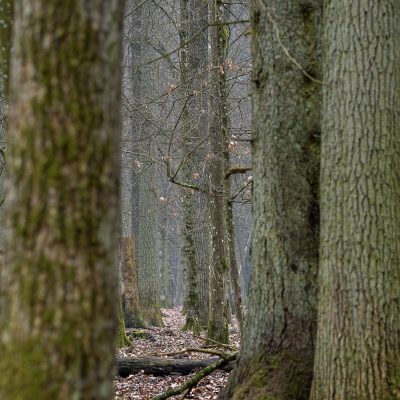 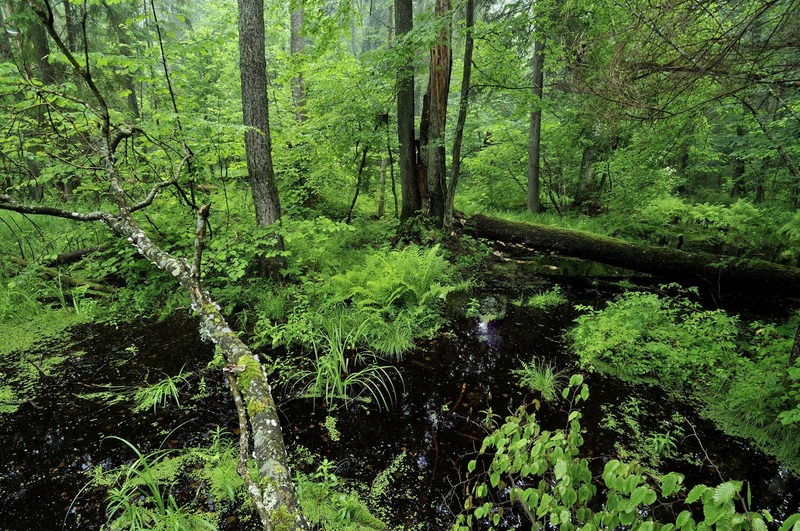 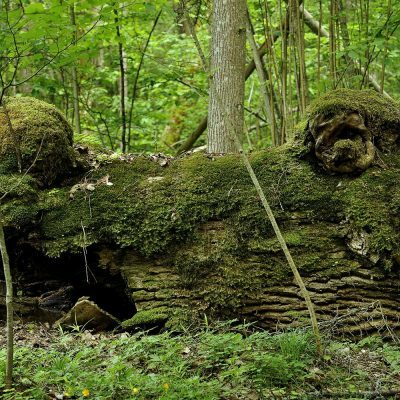 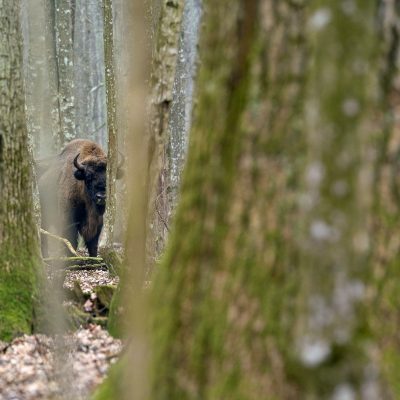 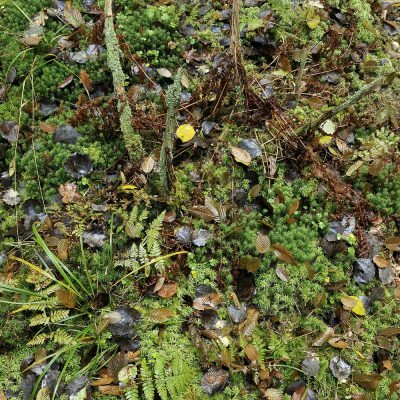 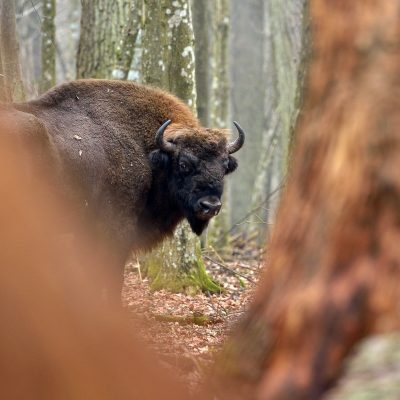 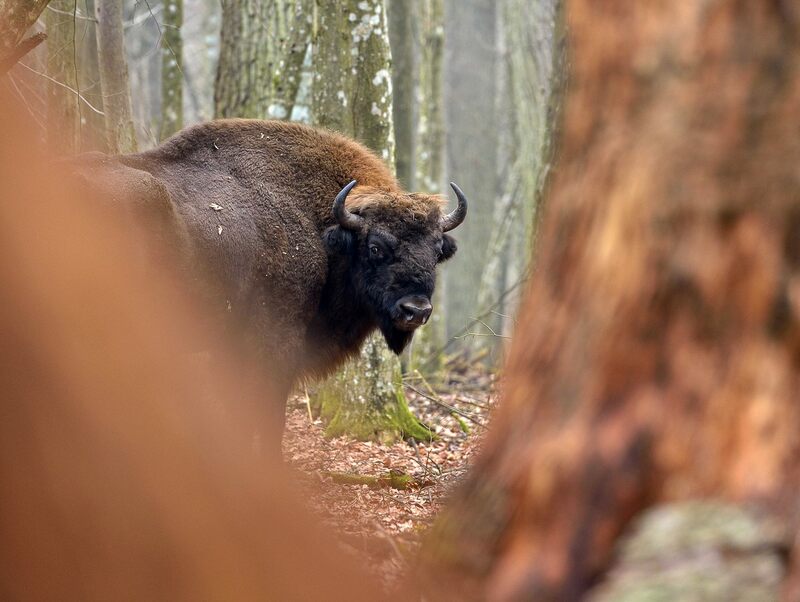 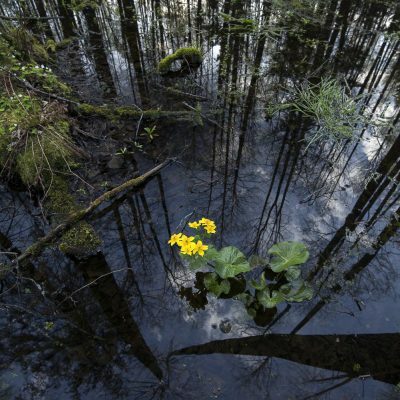 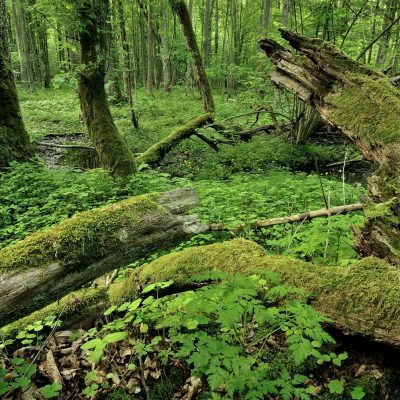 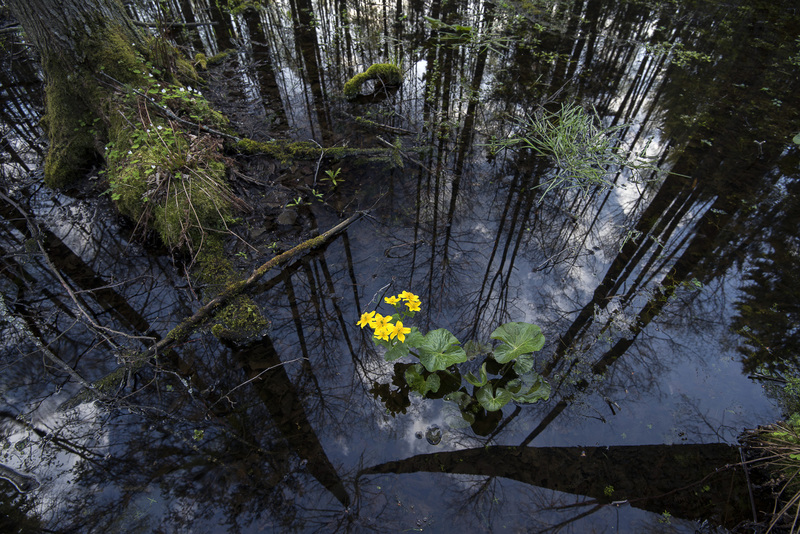 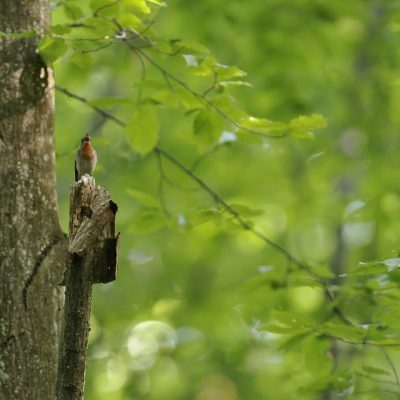 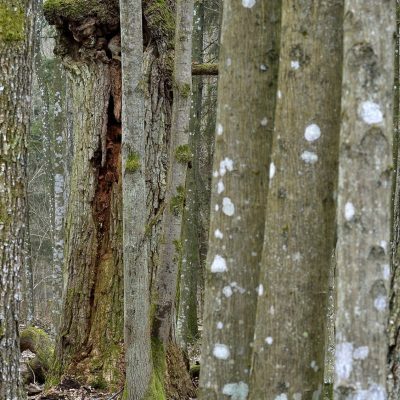 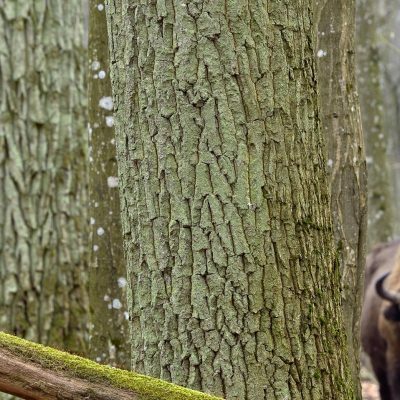 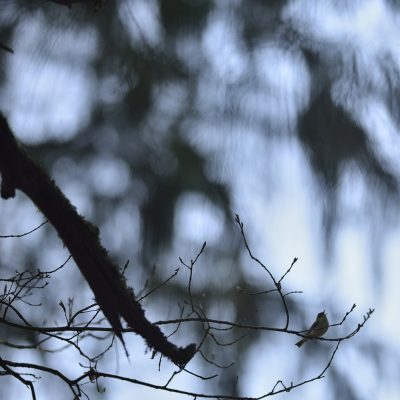 Białowieża Forest is an extraordinary place for one very simple reason: in the whole of the world's temperate zone, this is the only truly natural lowland forest that has survived almost intact. 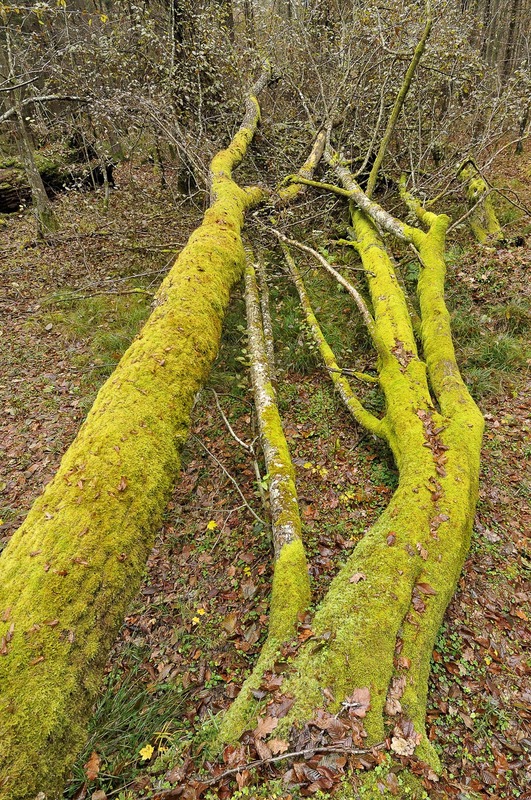 Its survival is a miracle and its characteristics are unique. 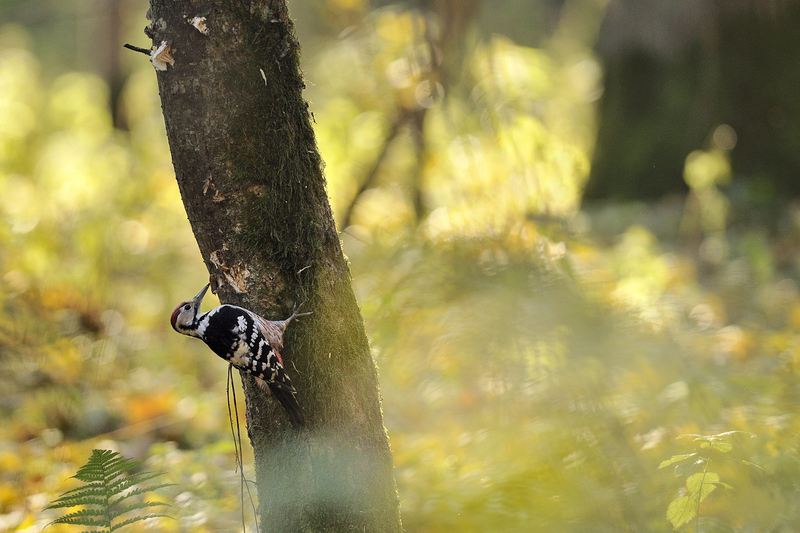 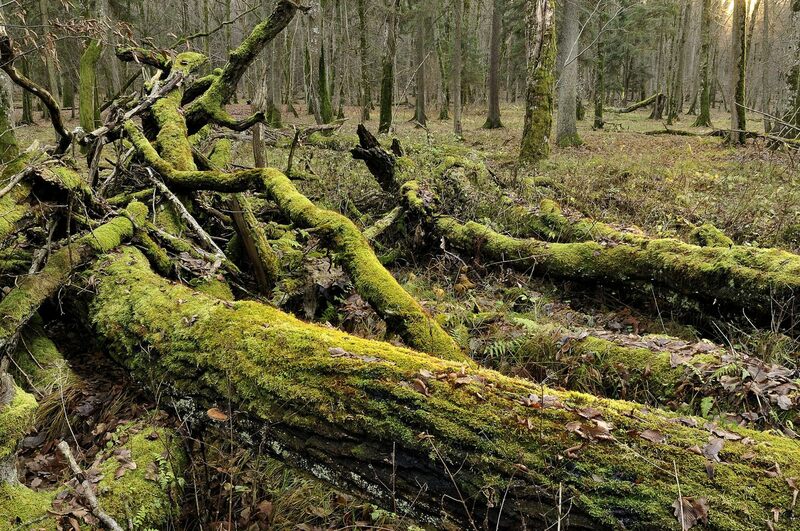 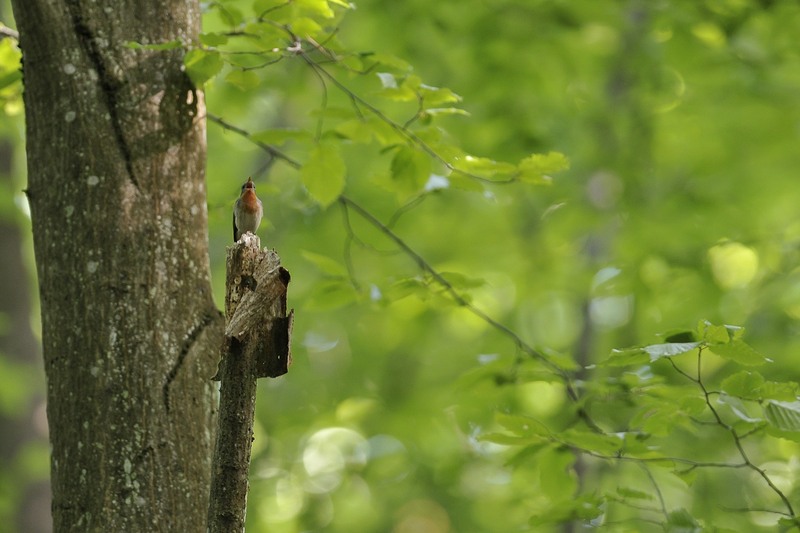 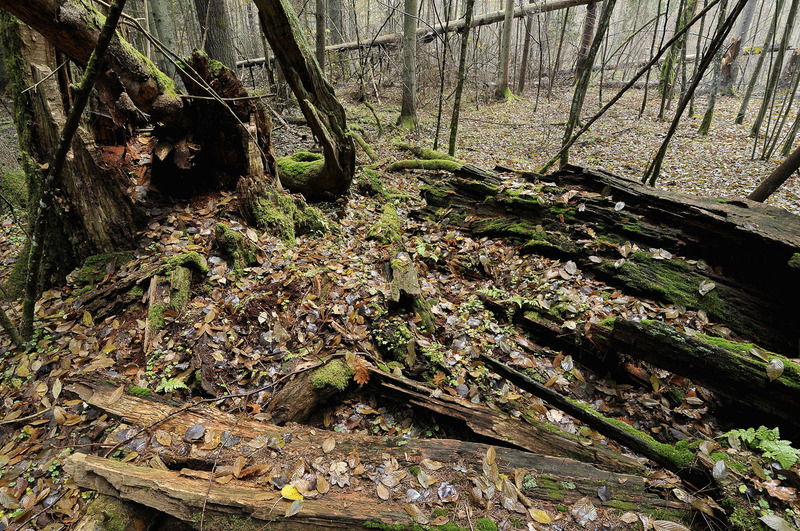 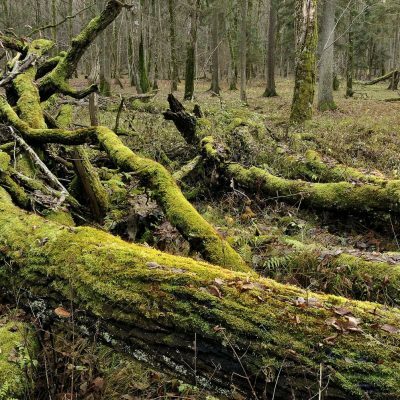 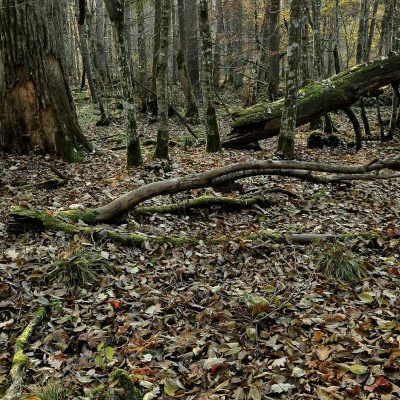 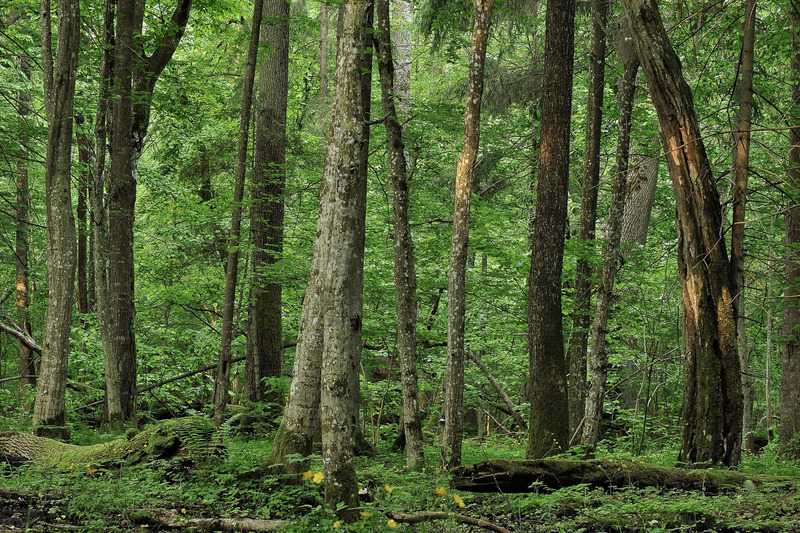 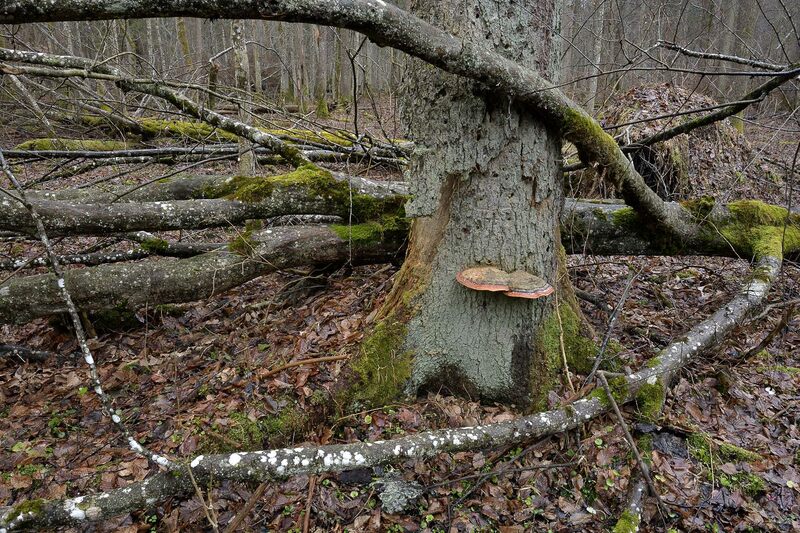 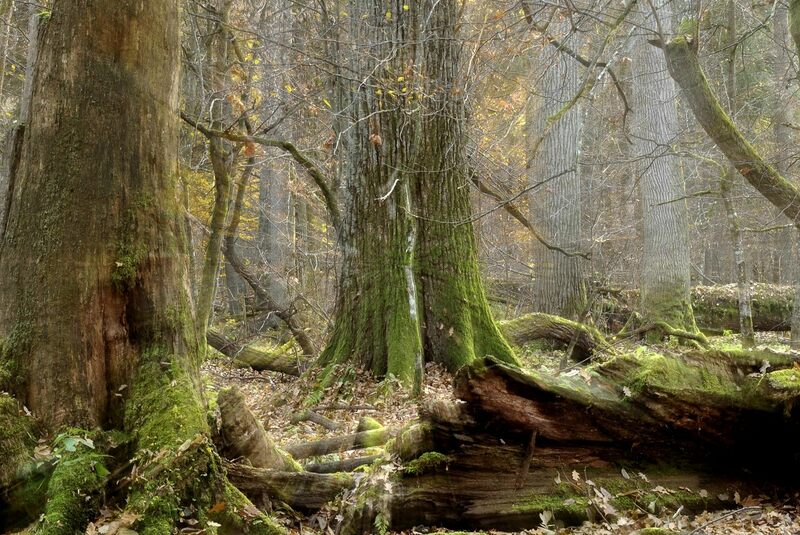 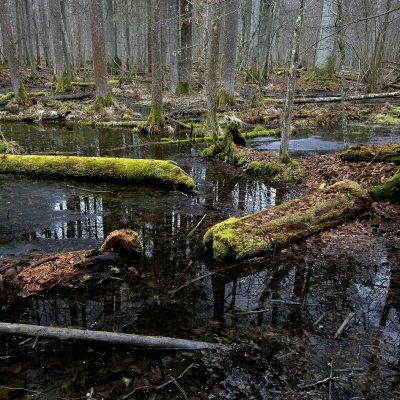 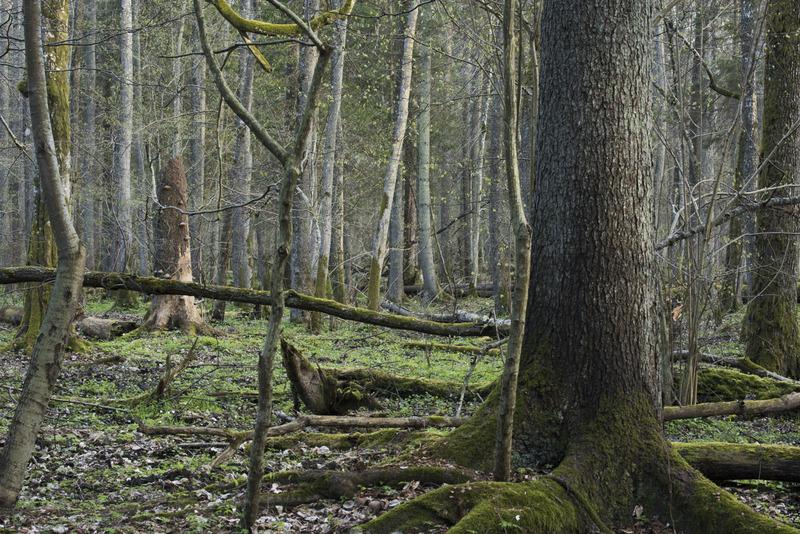 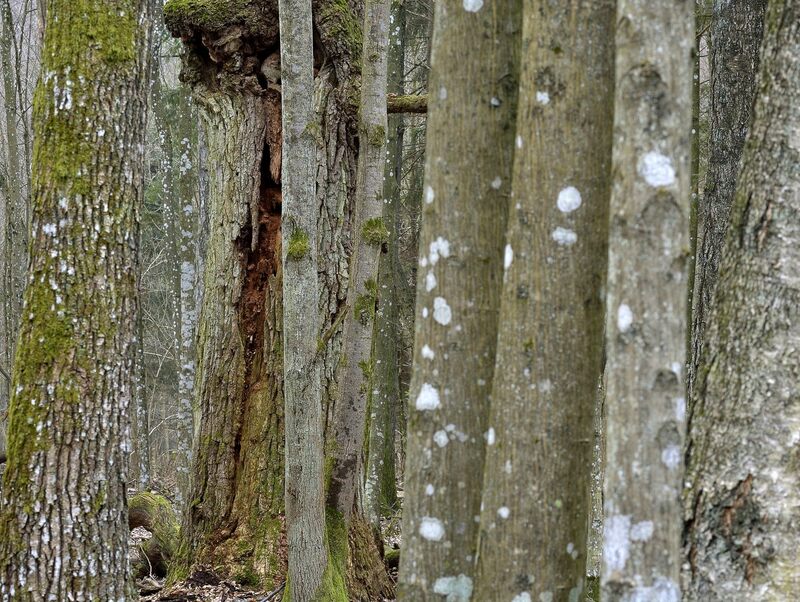 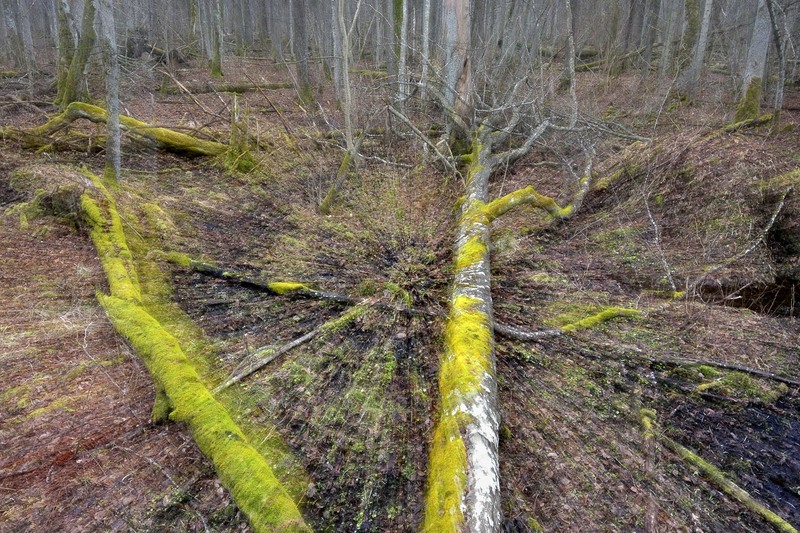 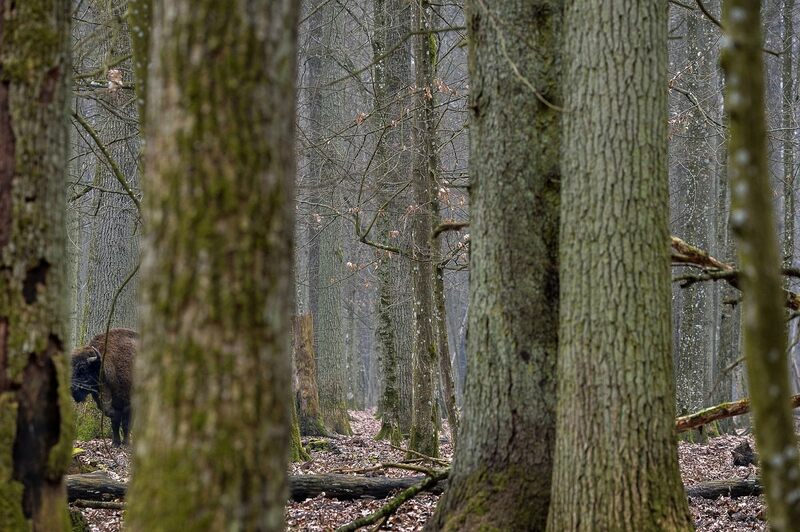 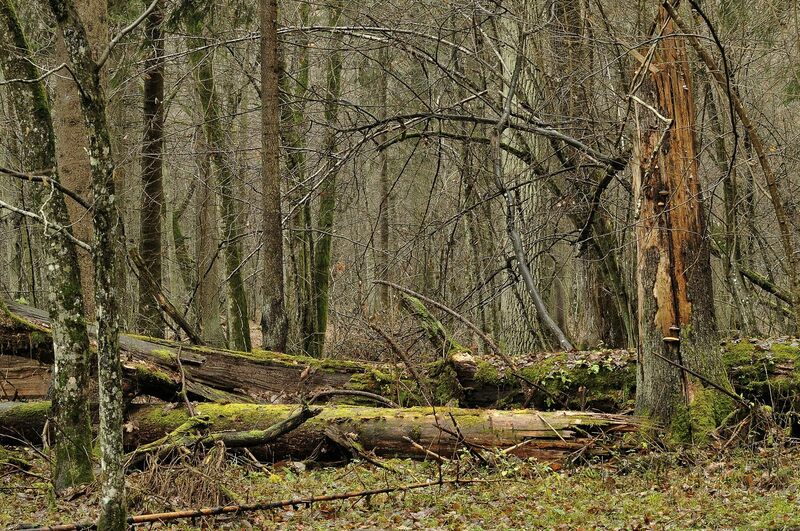 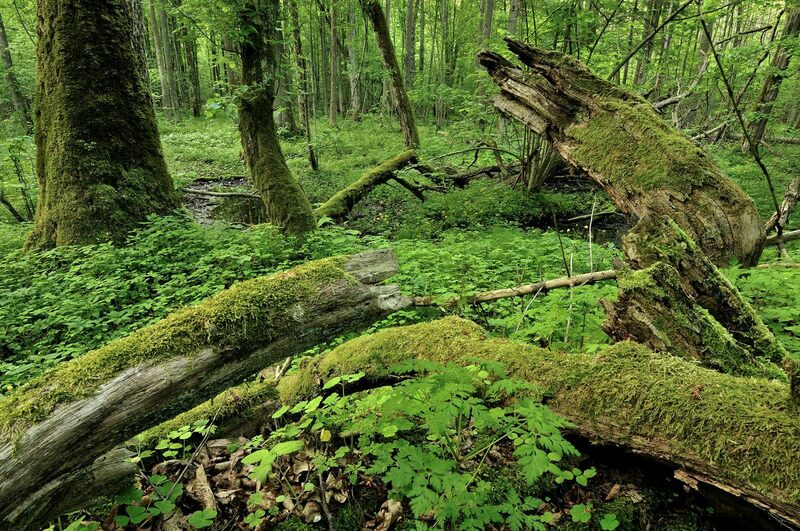 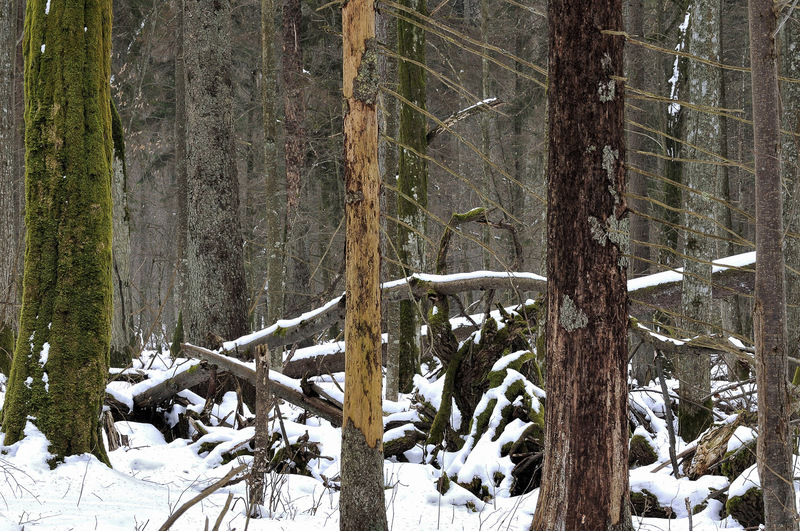 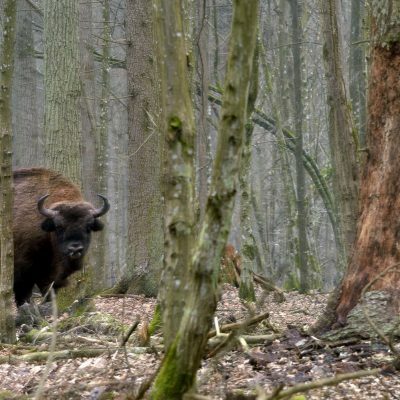 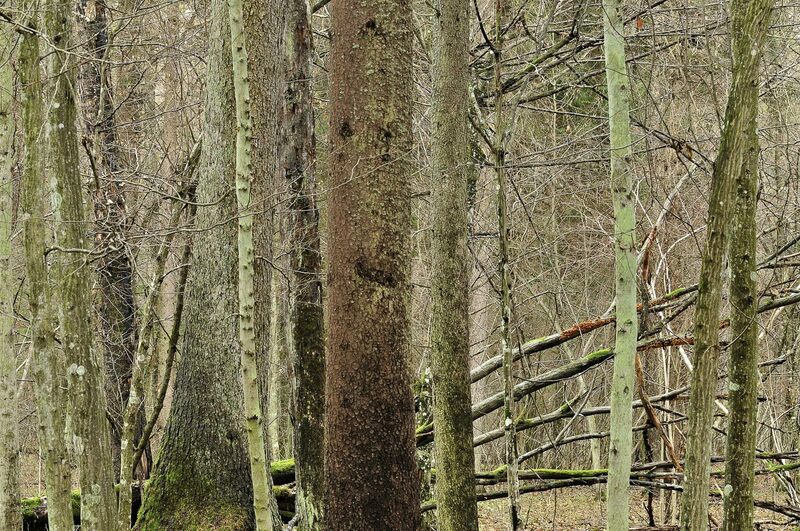 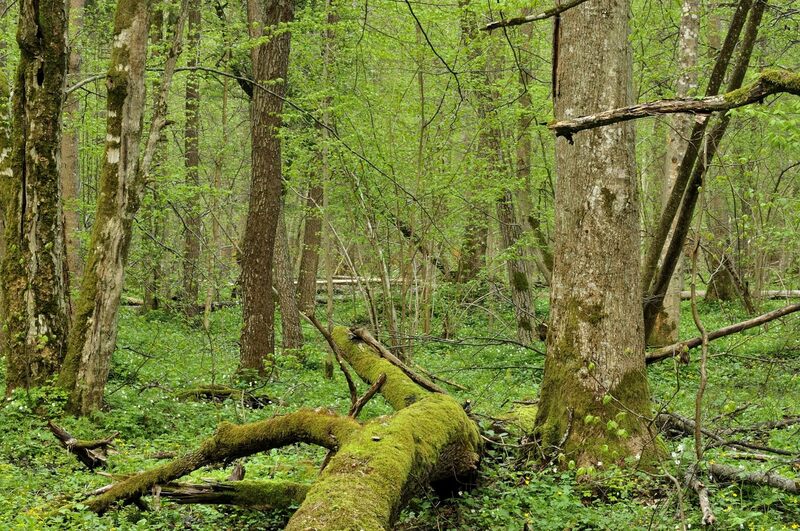 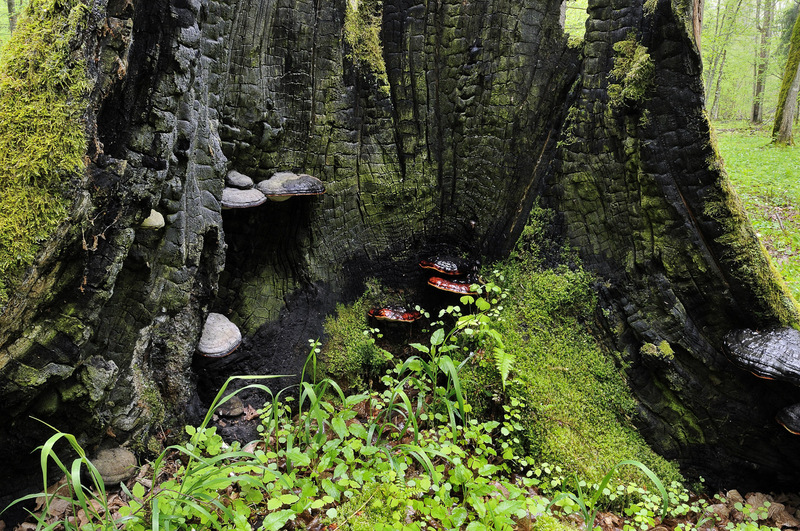 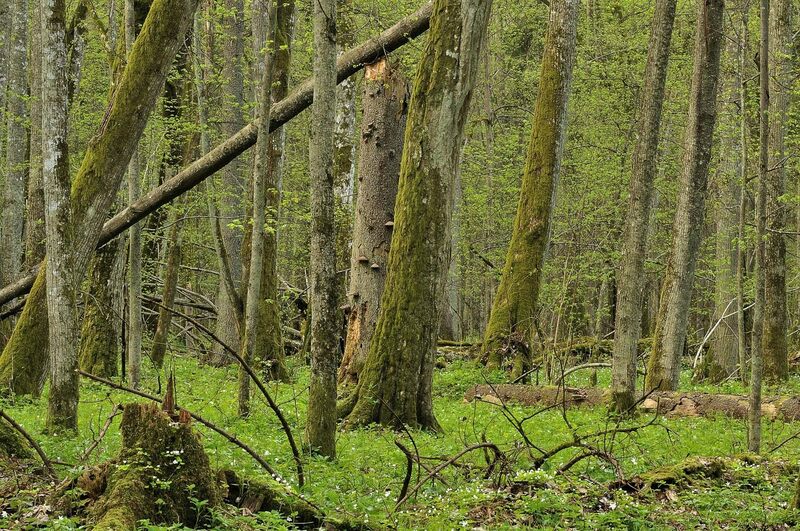 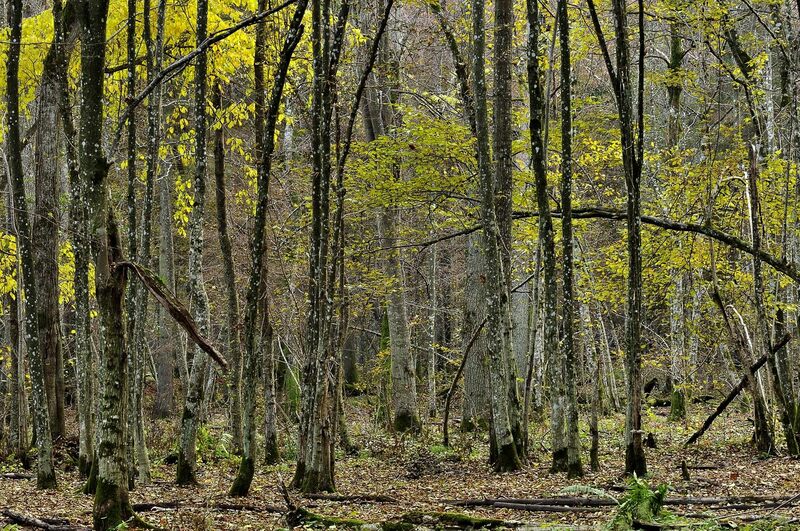 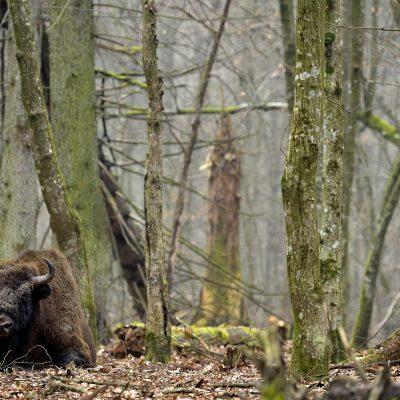 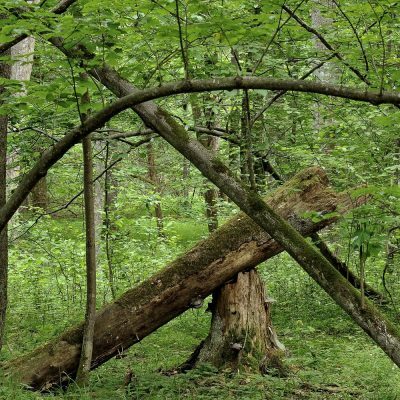 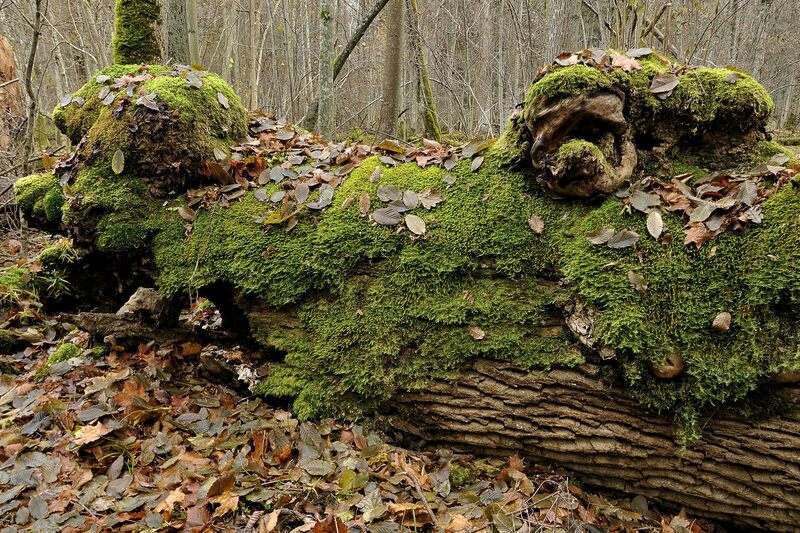 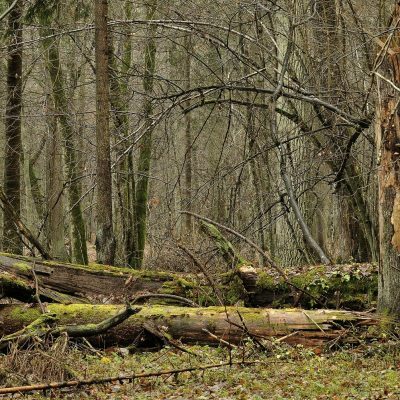 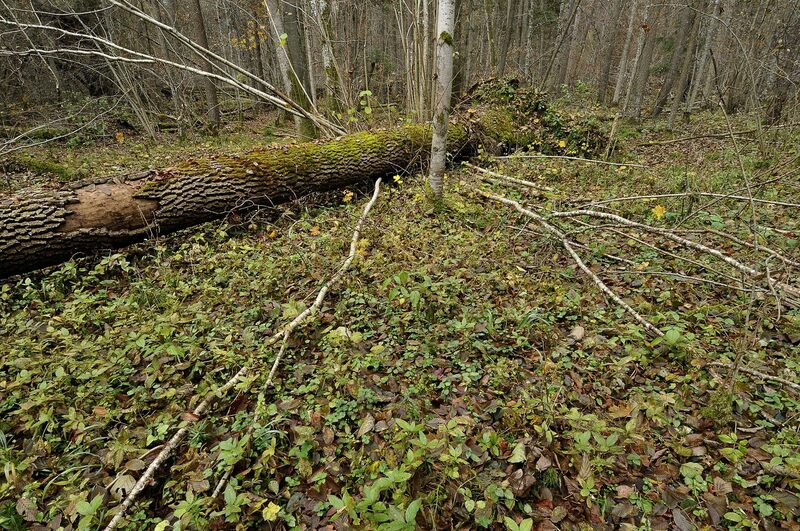 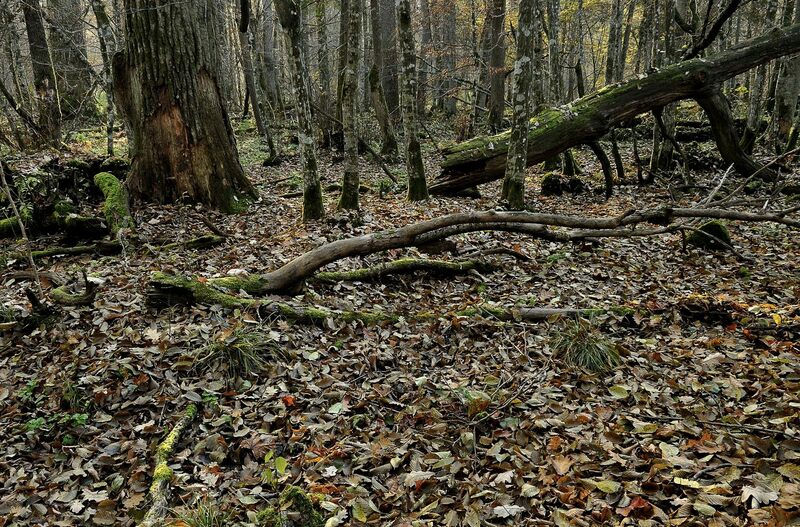 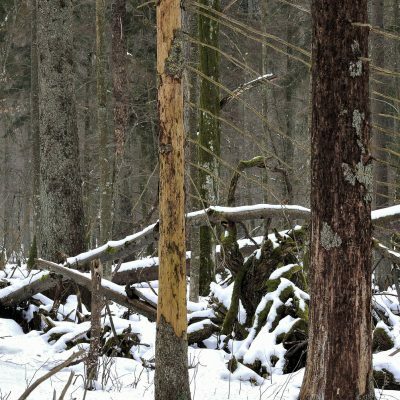 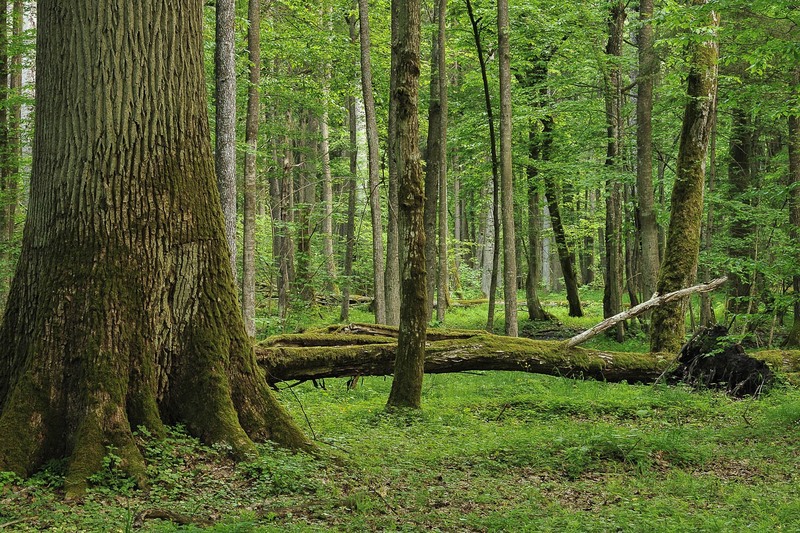 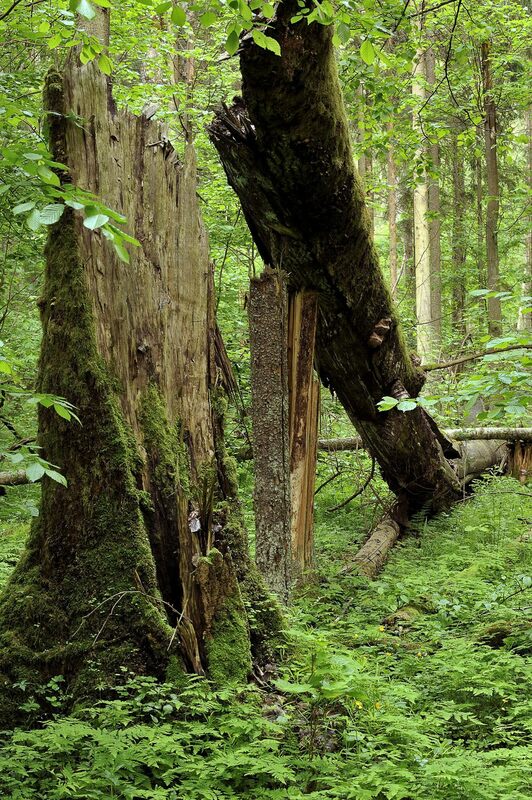 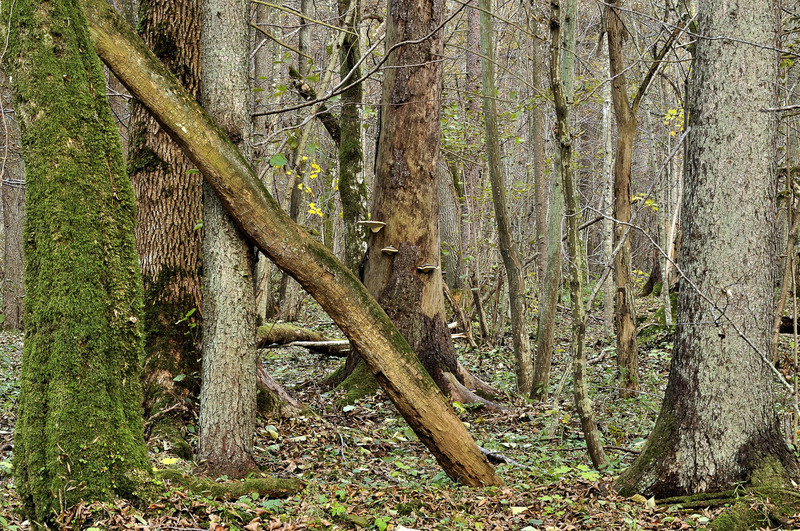 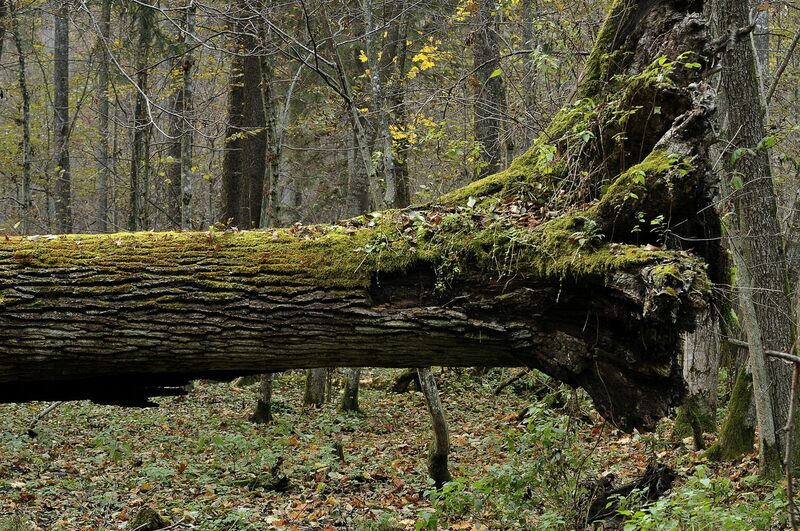 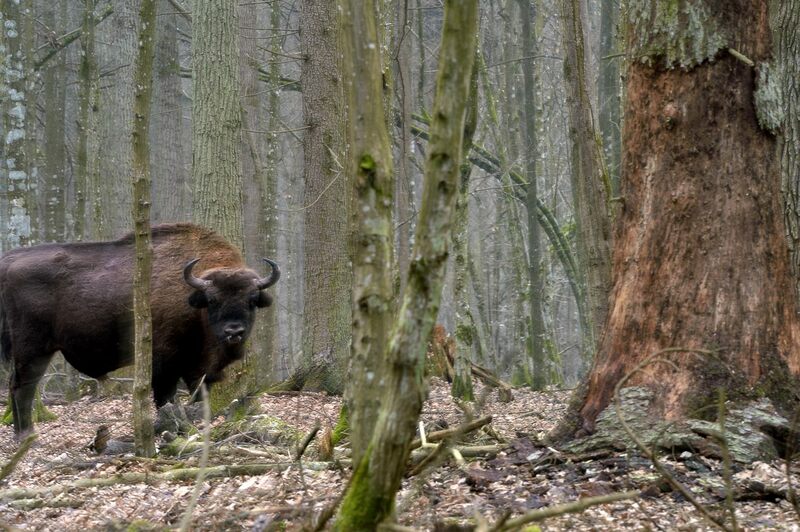 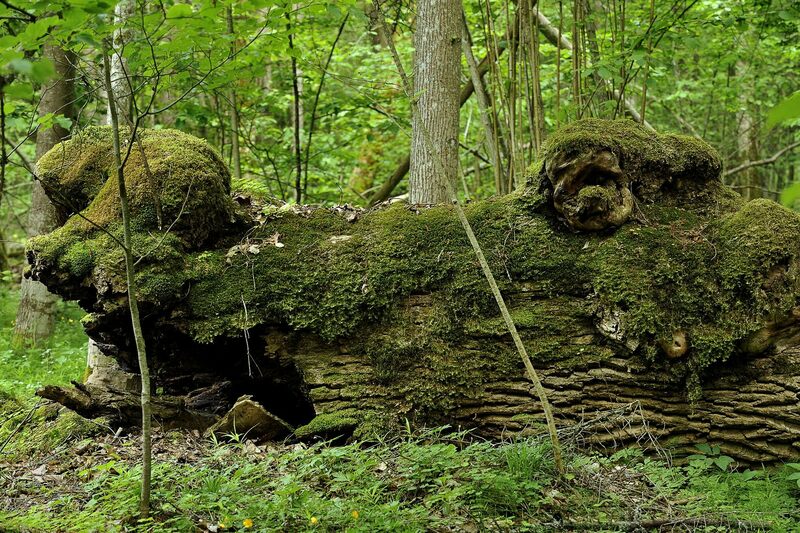 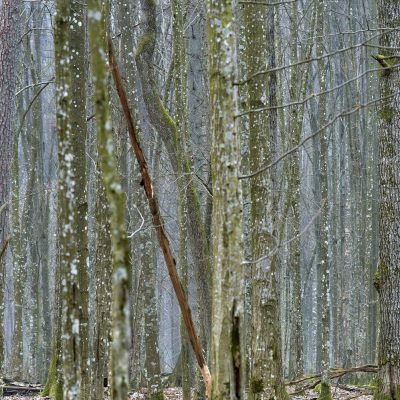 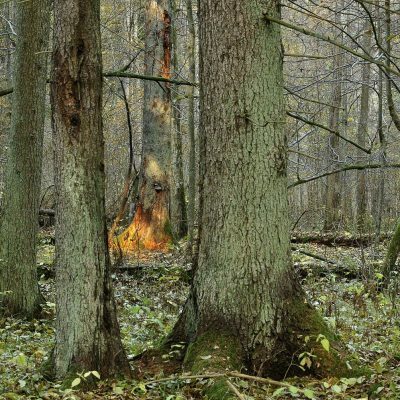 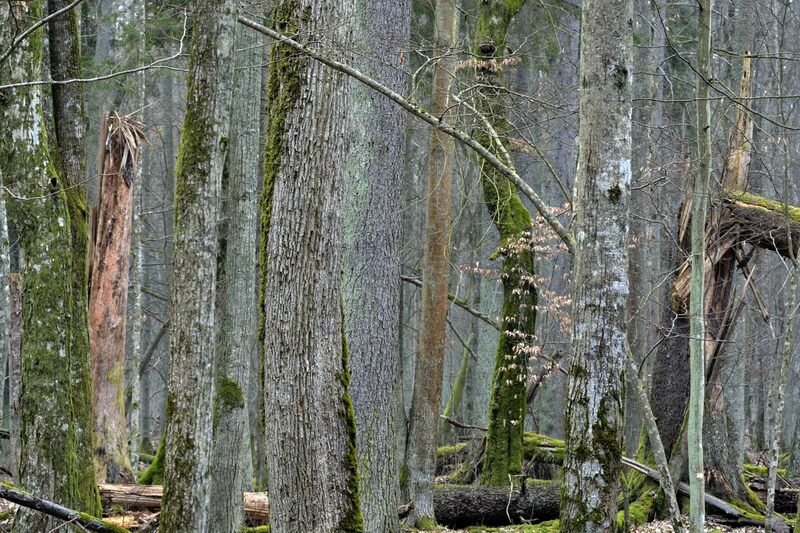 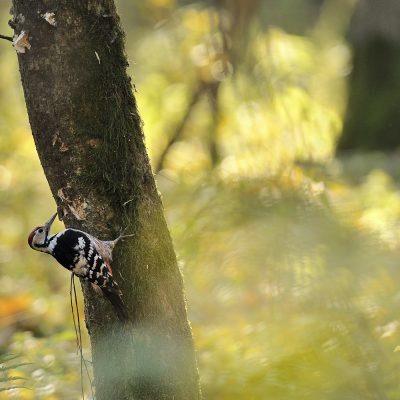 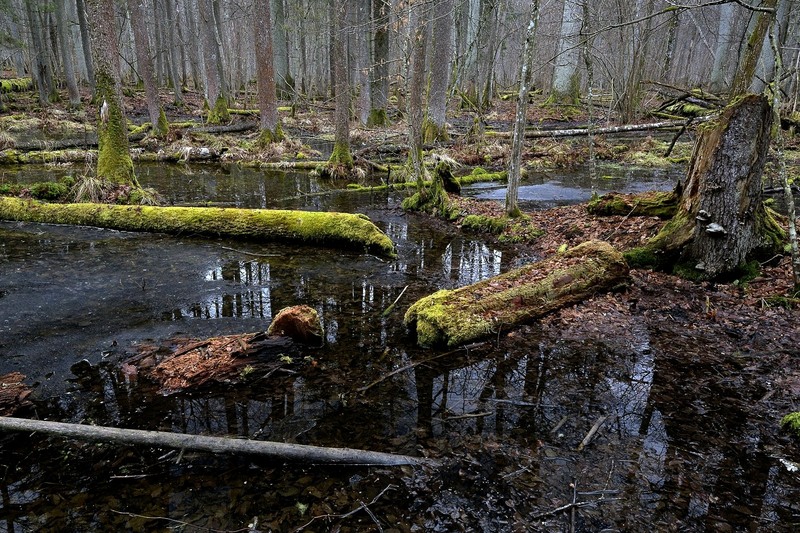 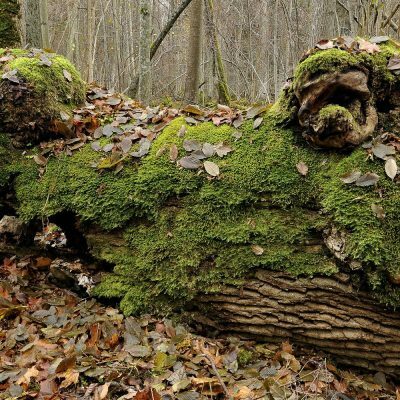 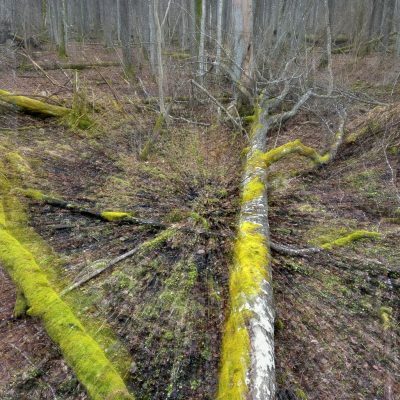 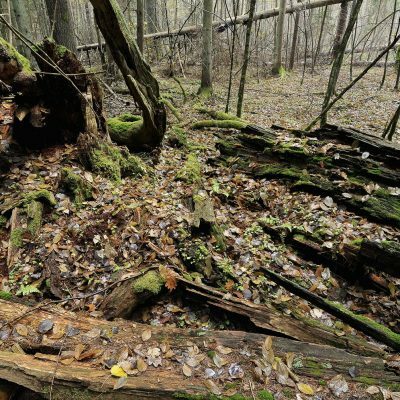 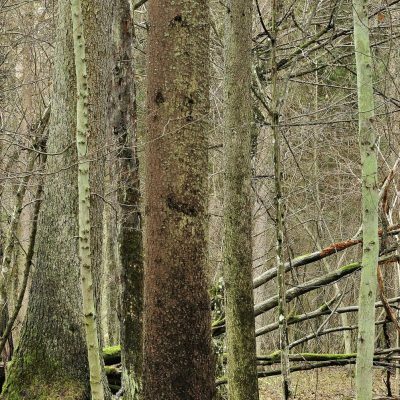 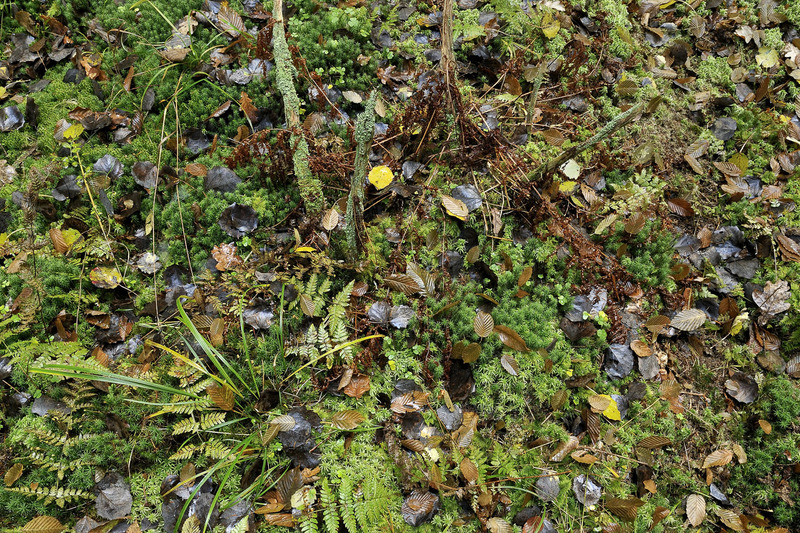 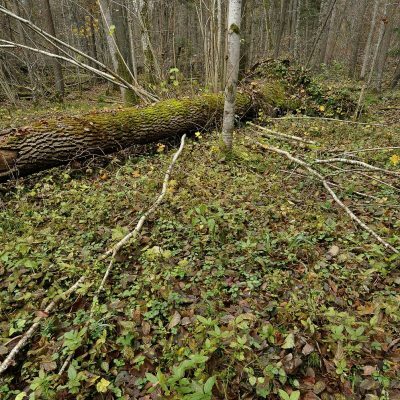 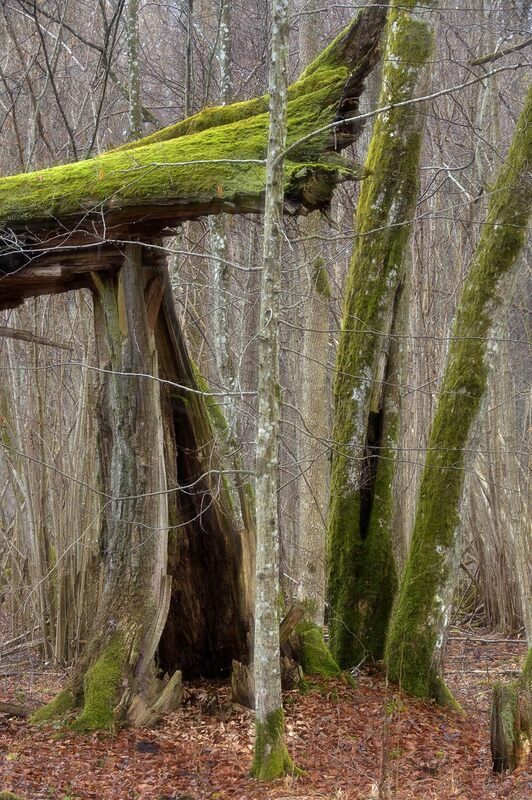 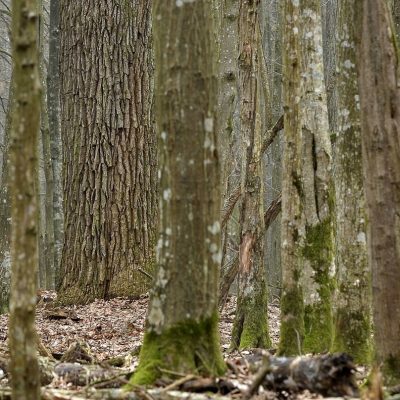 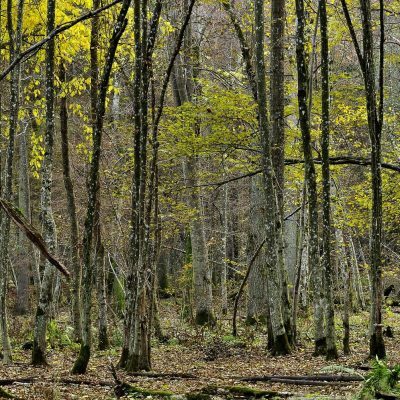 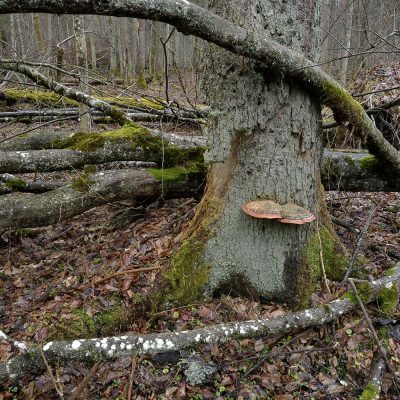 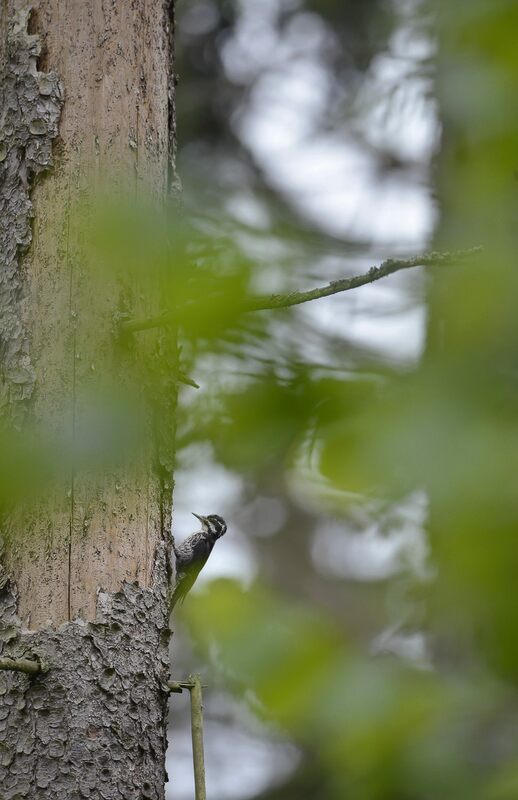 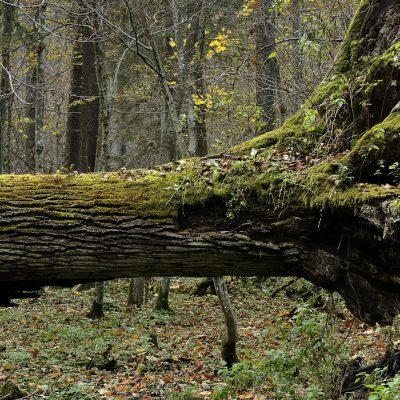 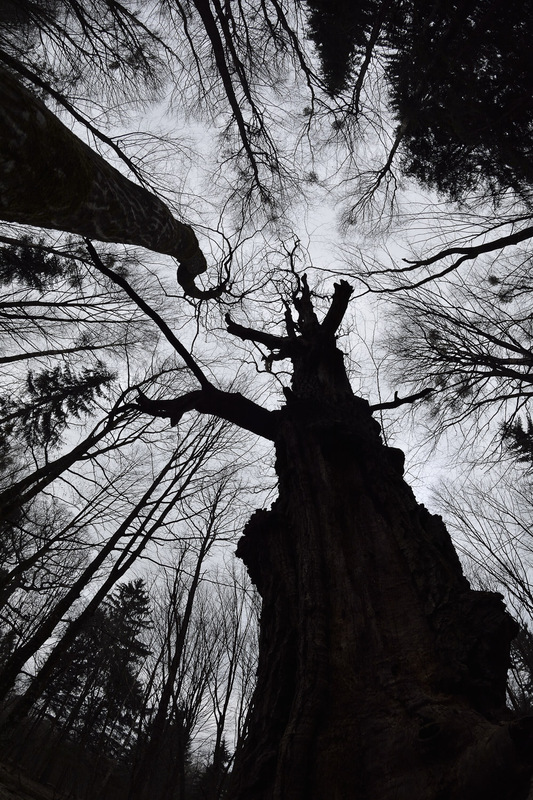 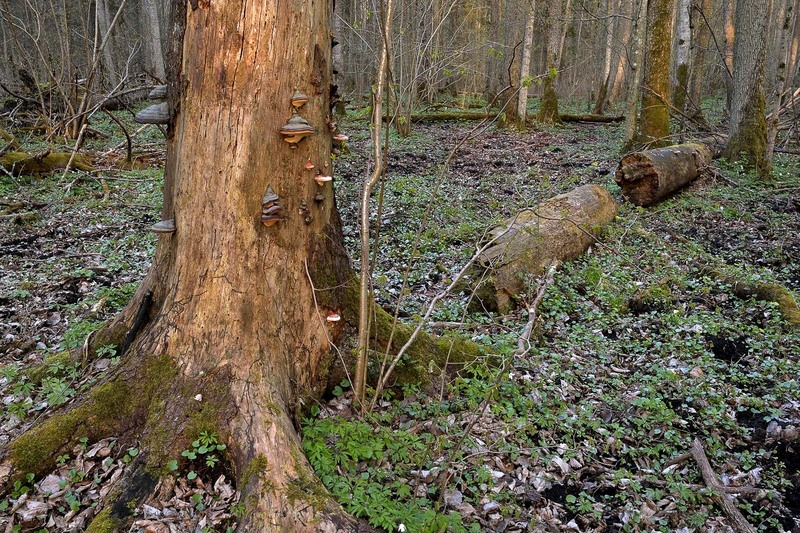 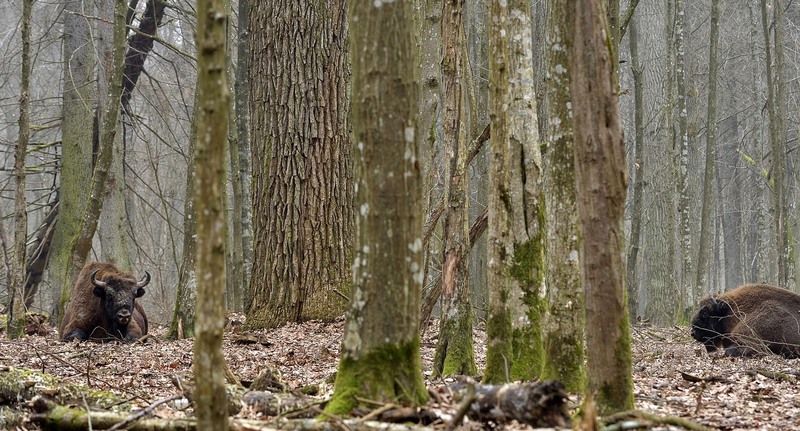 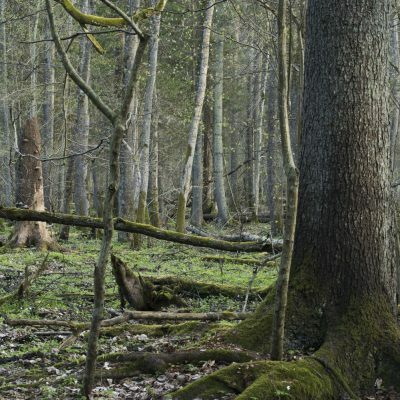 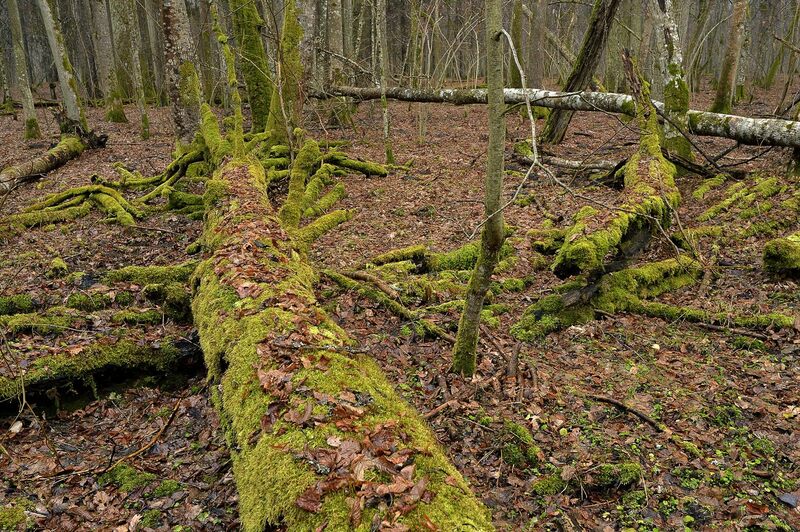 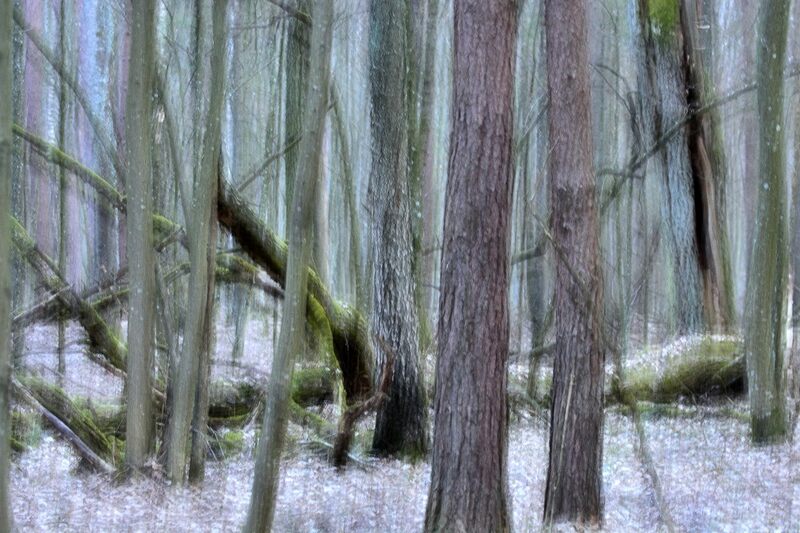 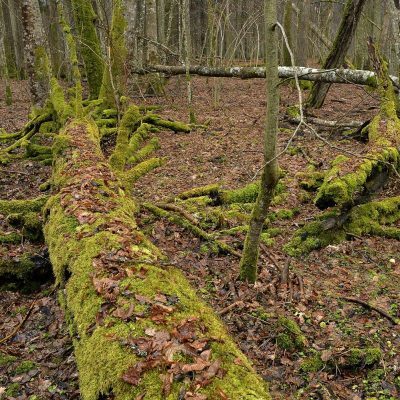 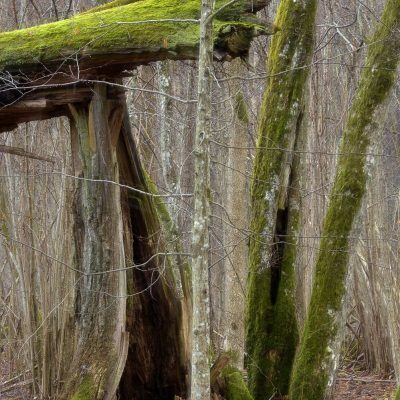 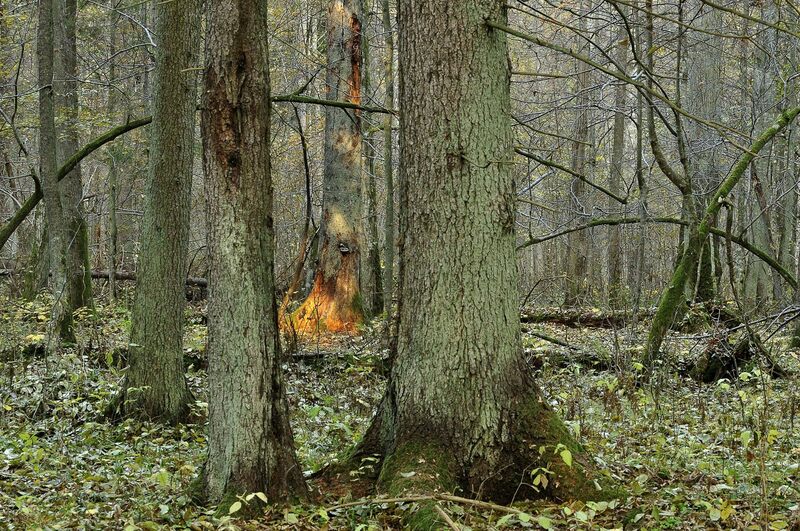 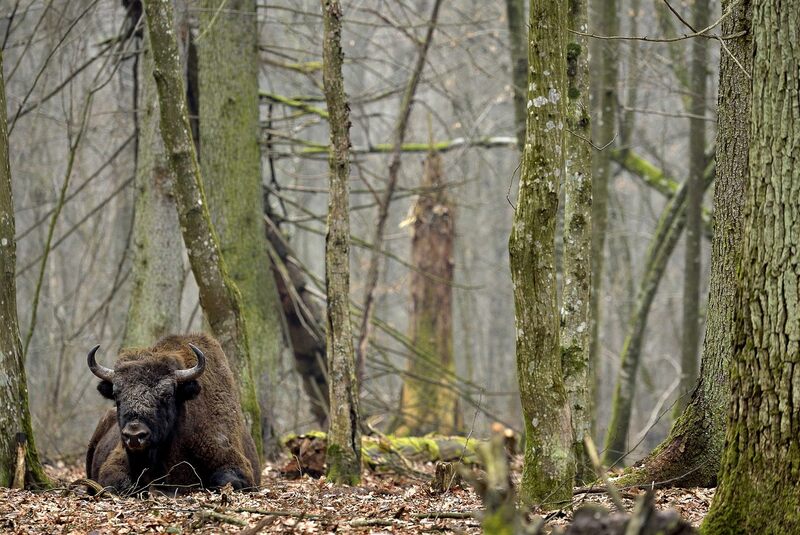 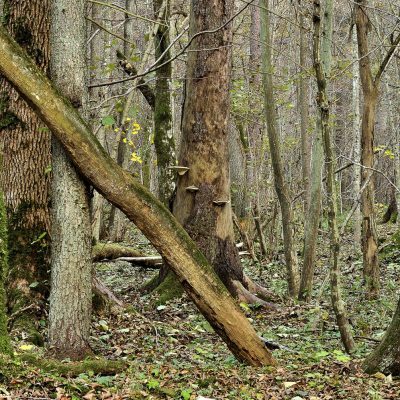 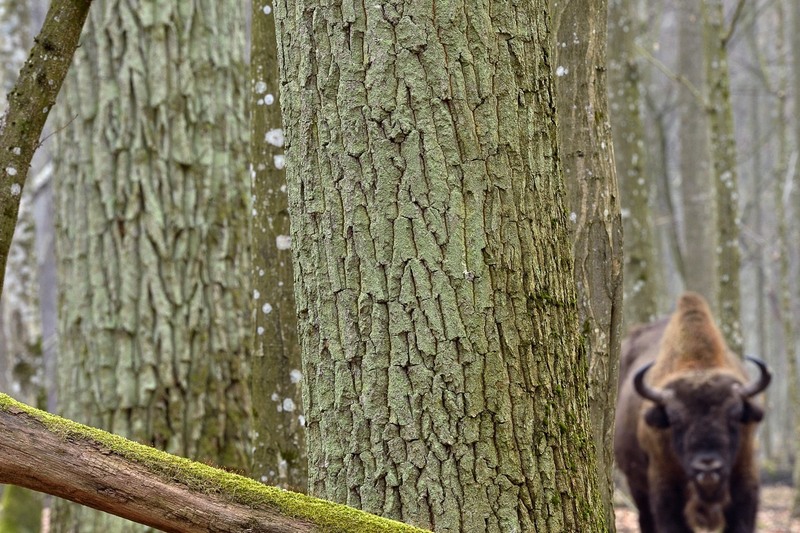 No other temperate forest has such a diversity of rare habitats, nor so many species in such complex ecological networks, nor such vast amounts of fallen deadwood, as the Białowieża Forest. 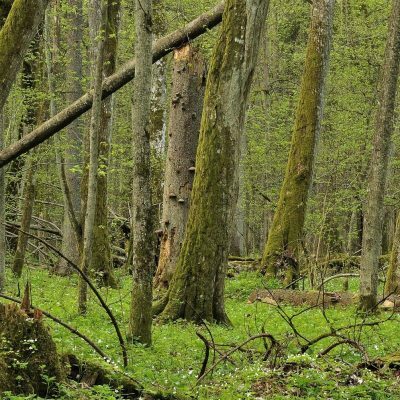 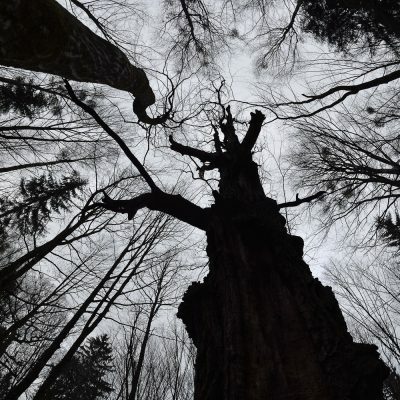 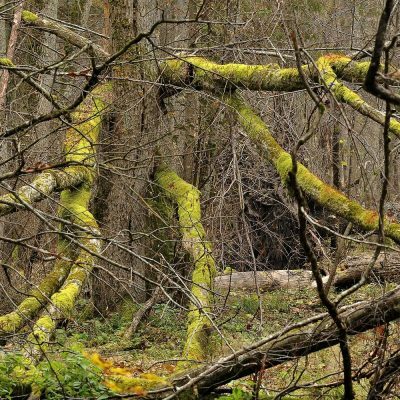 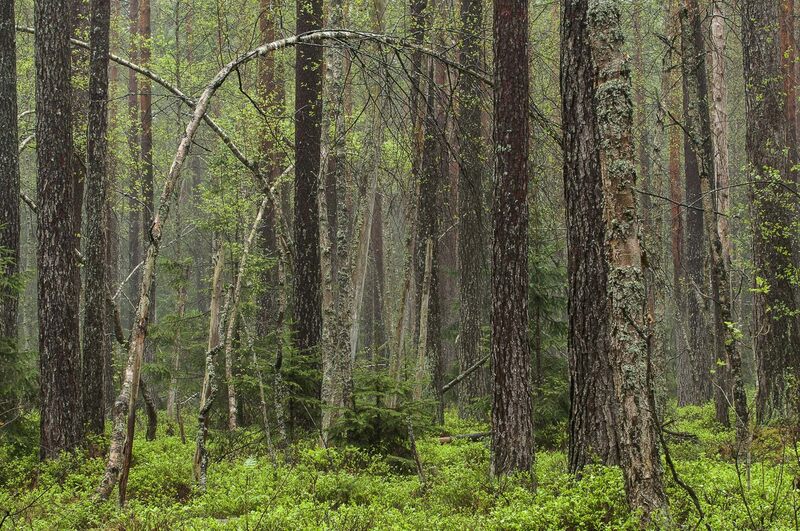 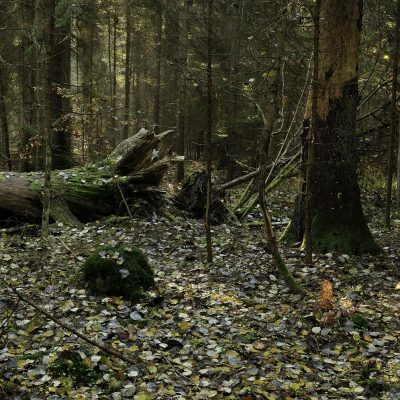 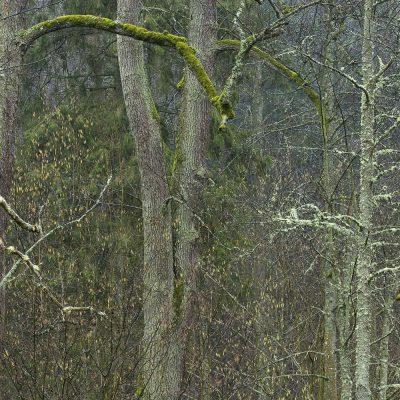 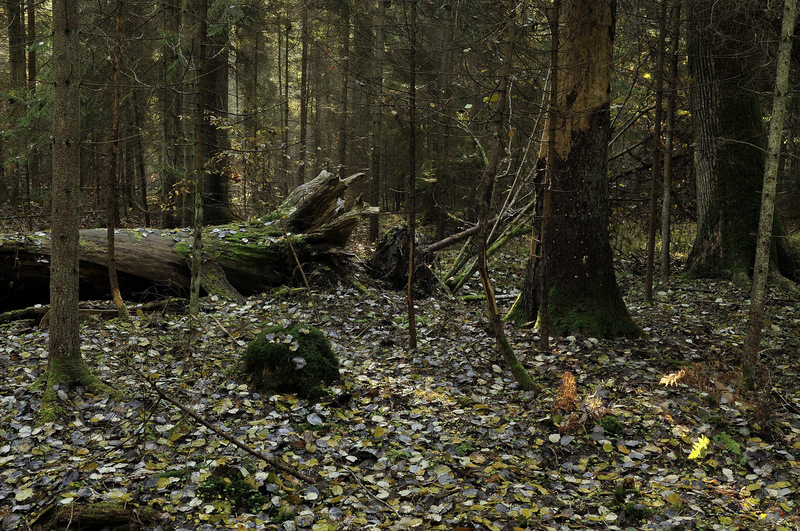 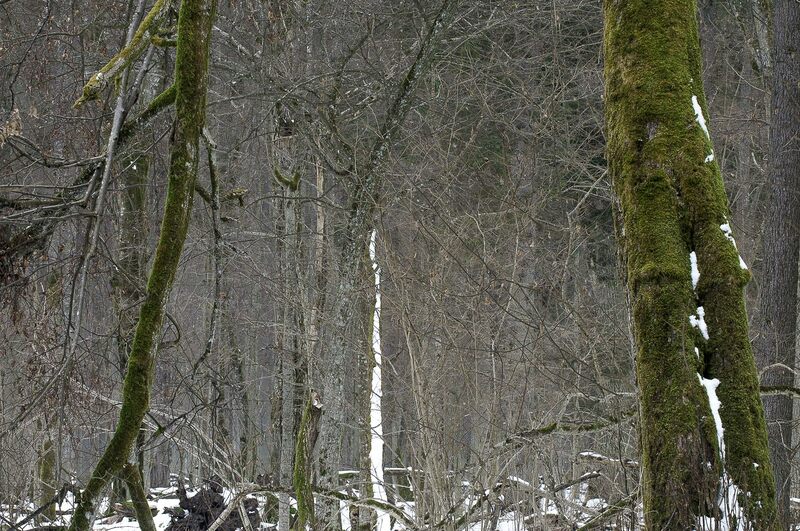 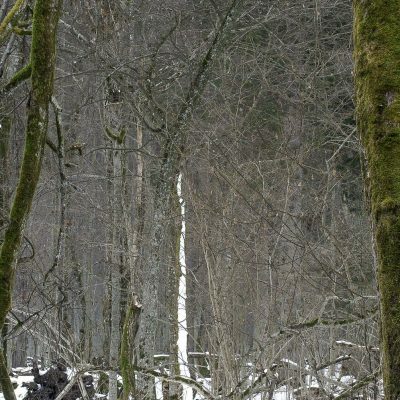 I had the opportunity to explore this old forest over the course of several months at my own rhythm; with memorable nights camping alone deep in the woods, in the Polish and in the Bielorussian parts. 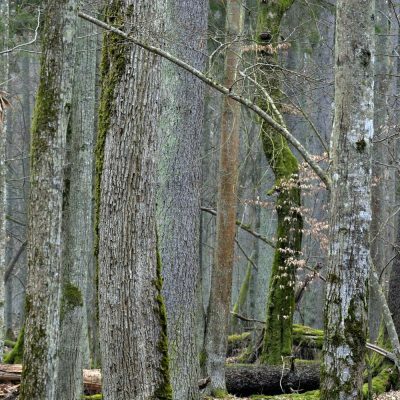 It is both a window through which we can glimpse the past and a reference standard to which other European forests can be compared. 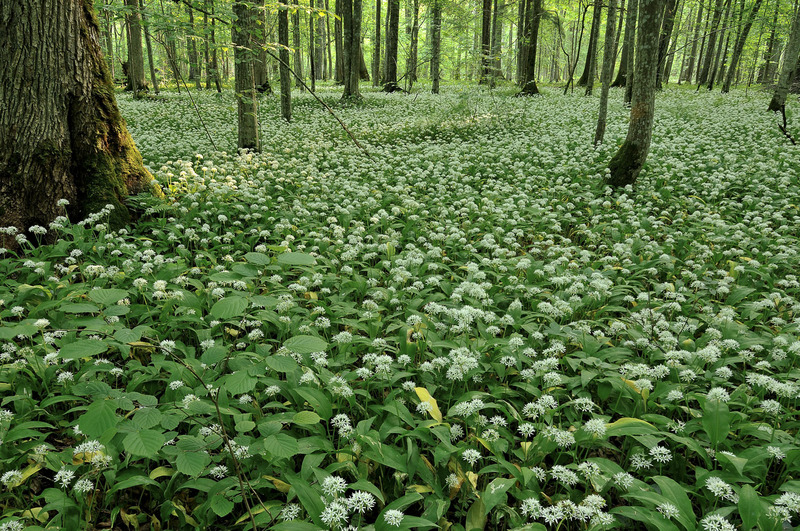 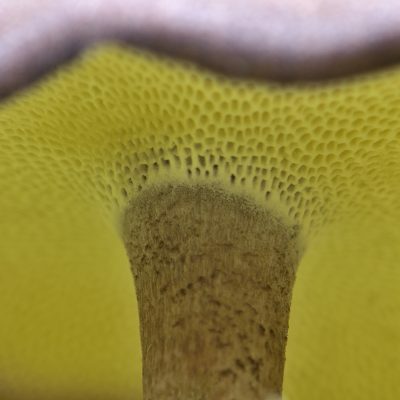 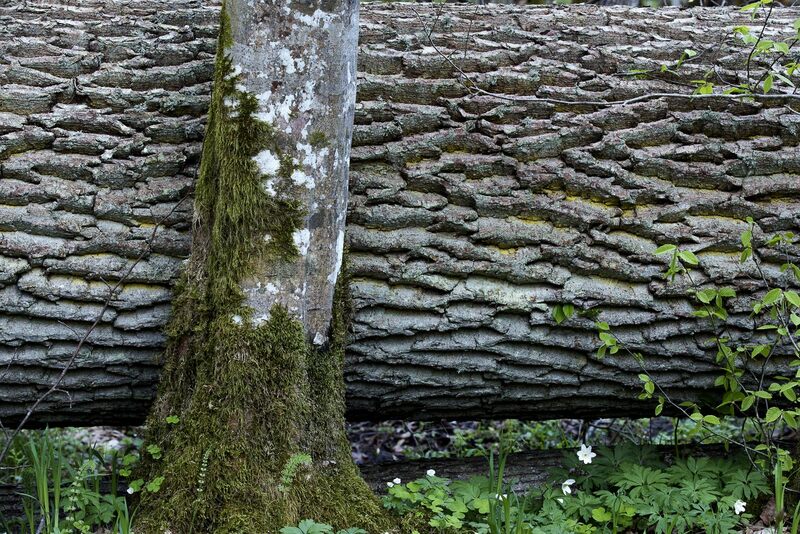 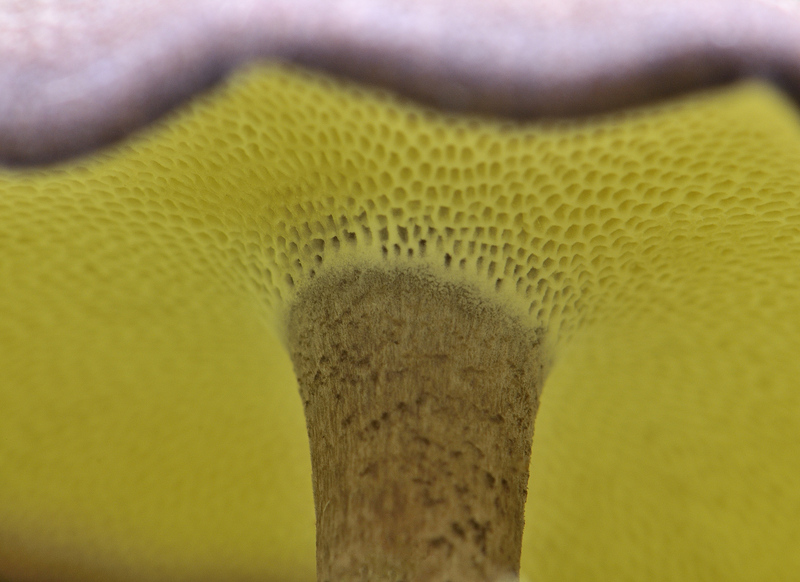 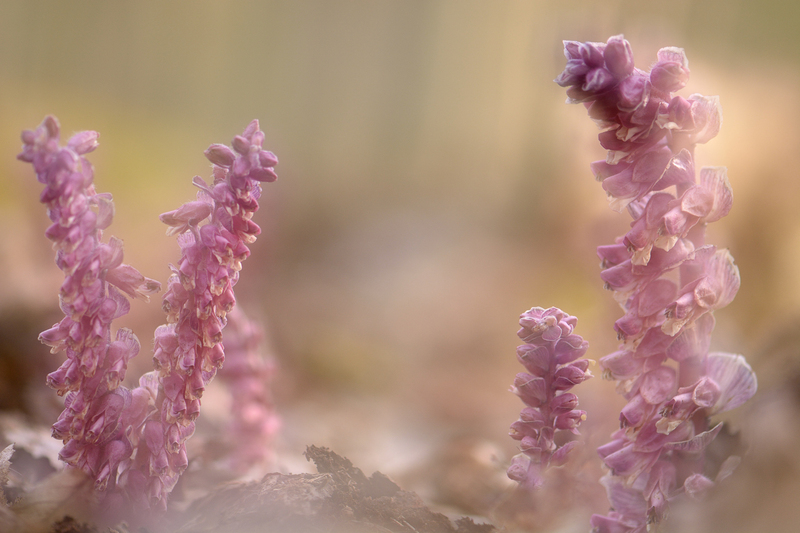 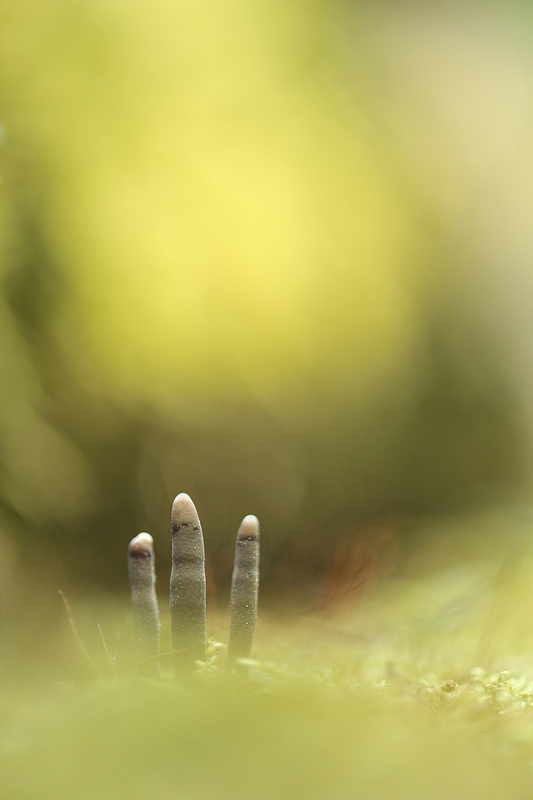 As such it is definitely one of our most important natural treasures. 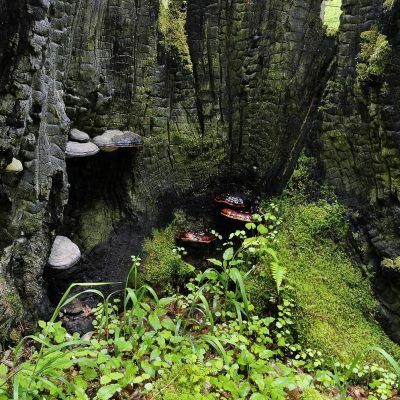 The most exceptional and best protected part, which runs across state boundaries from north eastern Poland to Bielorussia has been designed as UNESCO World Heritage Site. 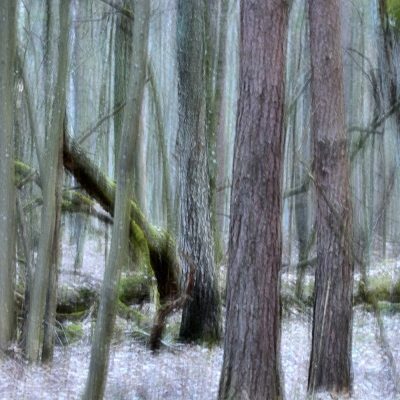 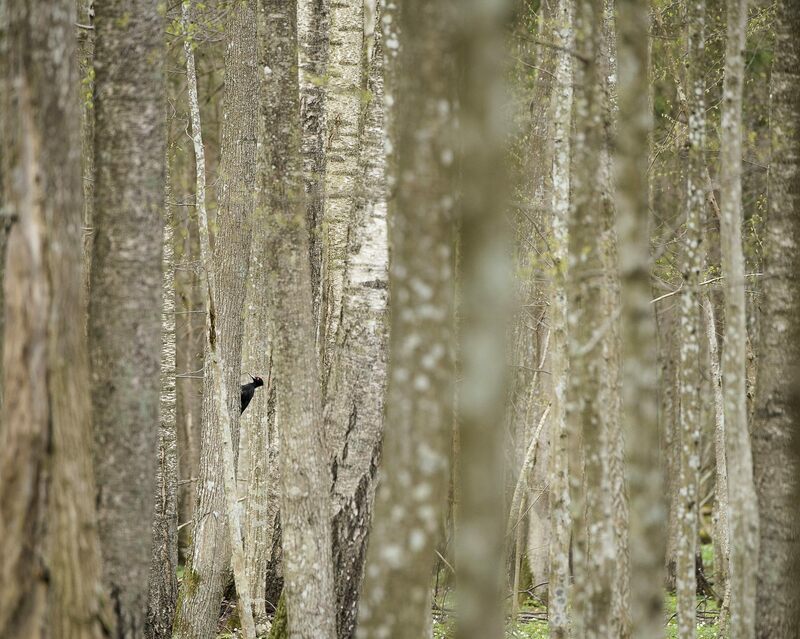 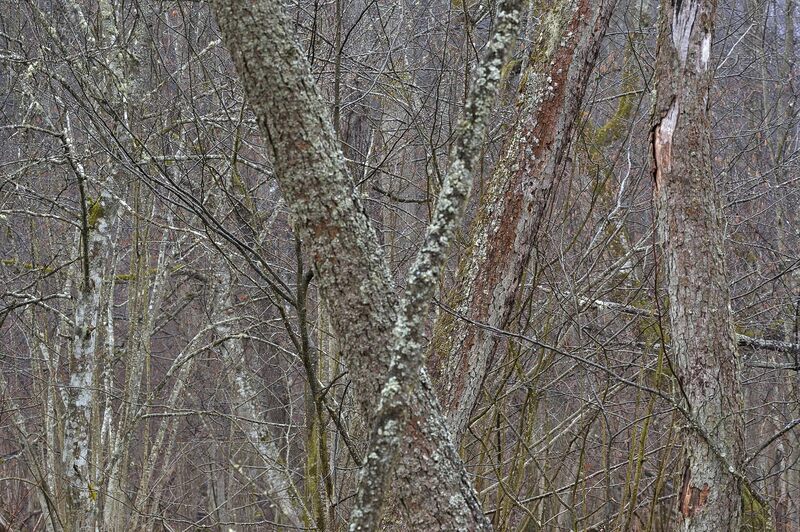 What a pleasure and what emotions to explore this naturalist's paradise over the seasons; for magic still happens there. 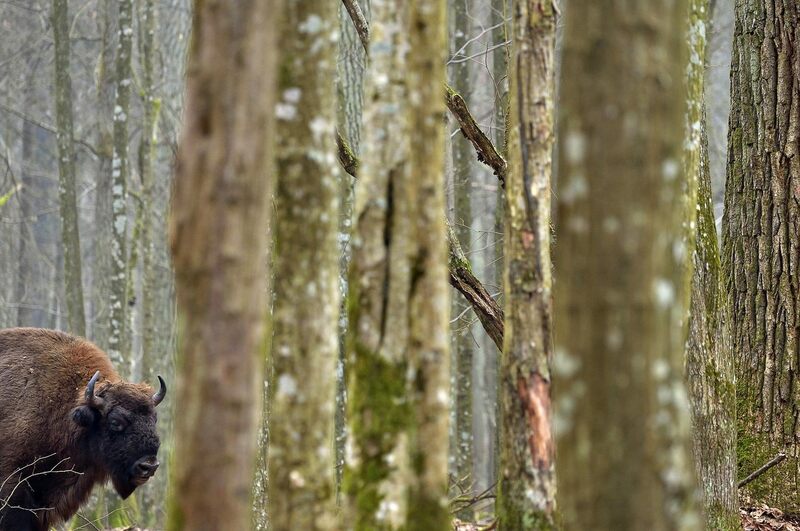 Above all the magic of one winter day, when three bull bisons accepted me for a couple of hours and I was privileged to share unforgettable moments with the « Kings of the Forest » roaming free in their natural environment, offering me fleeting visions of how our own part of the world was, thousands of years ago. 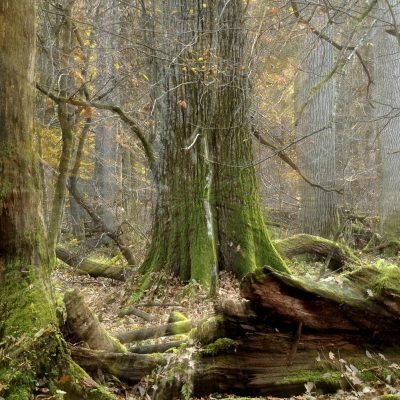 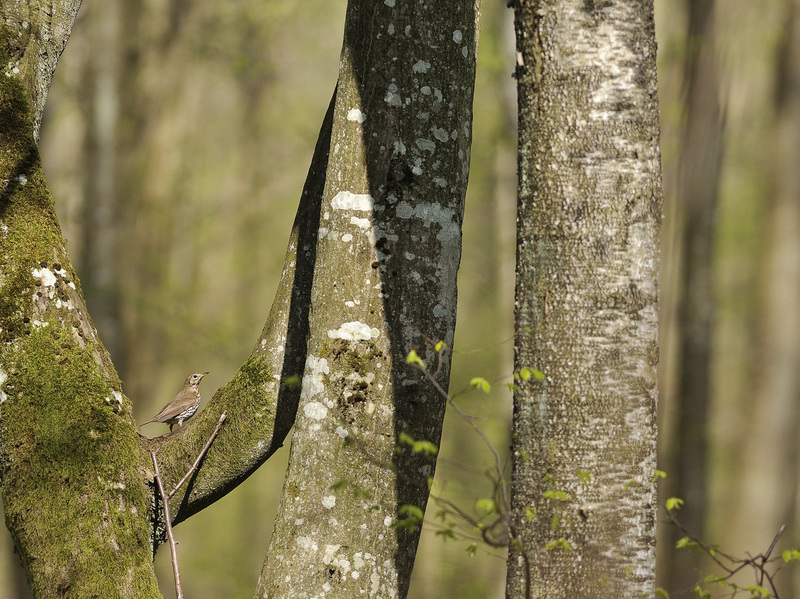 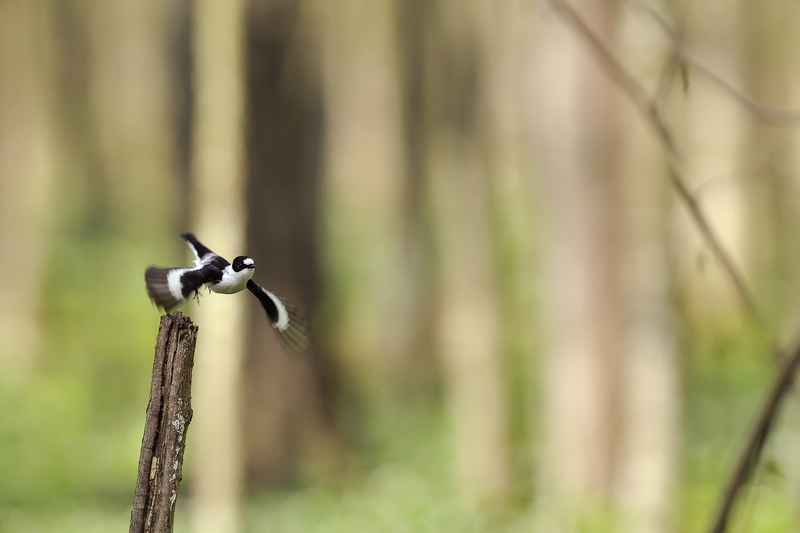 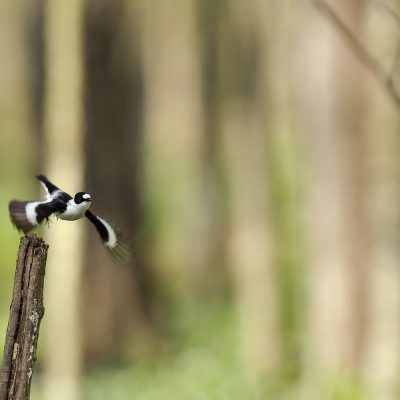 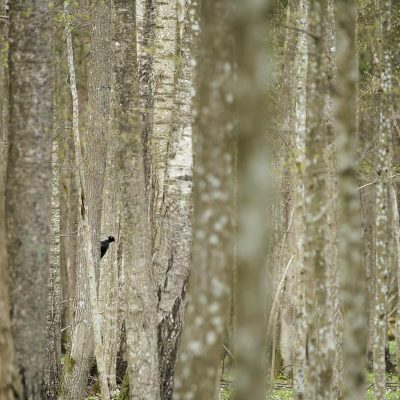 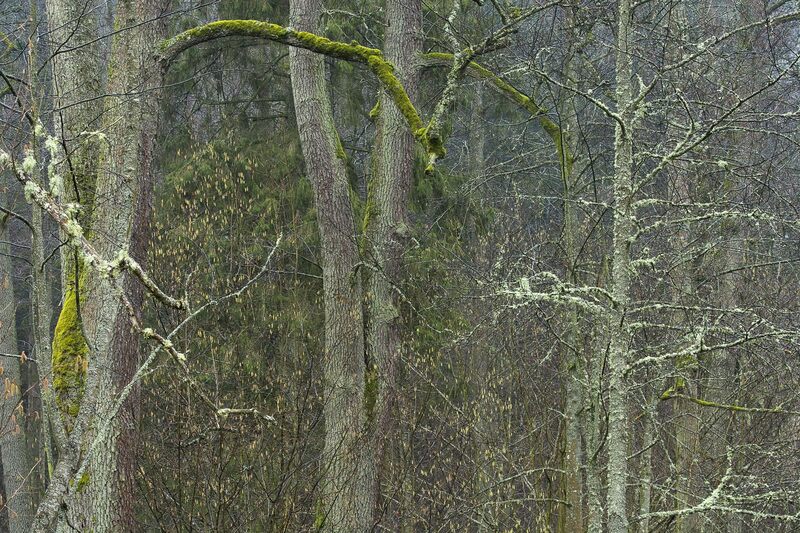 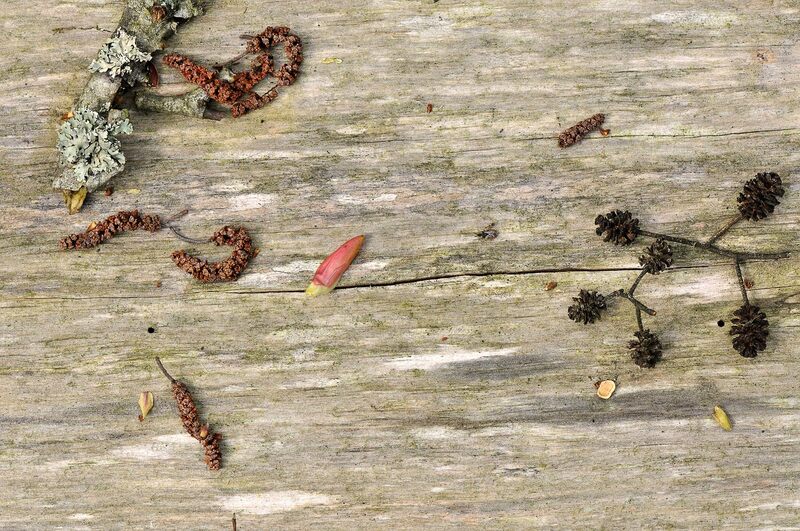 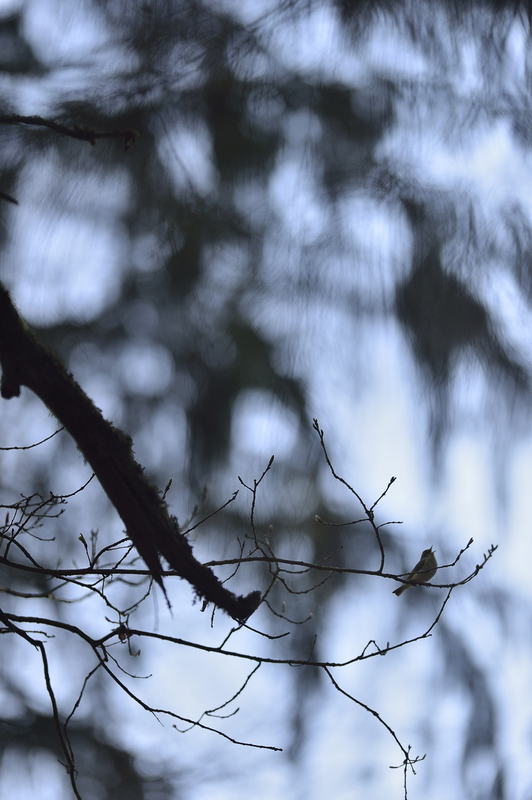 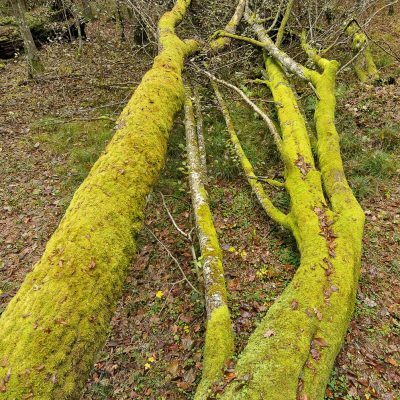 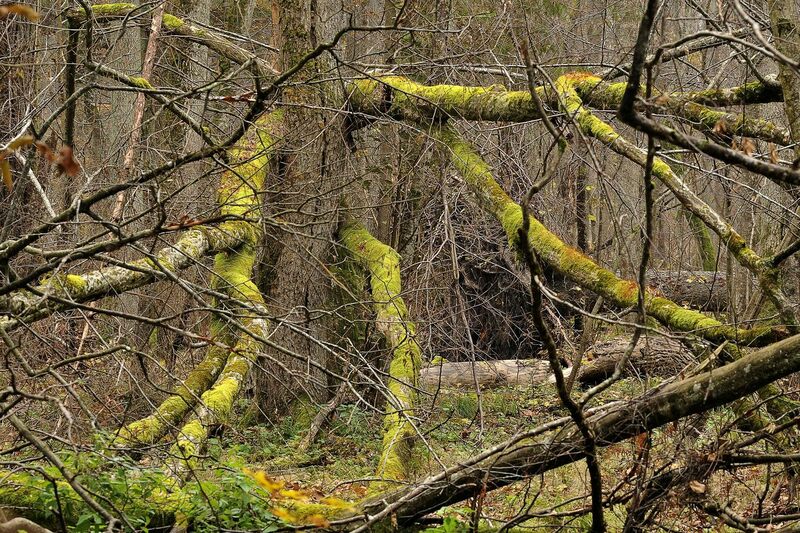 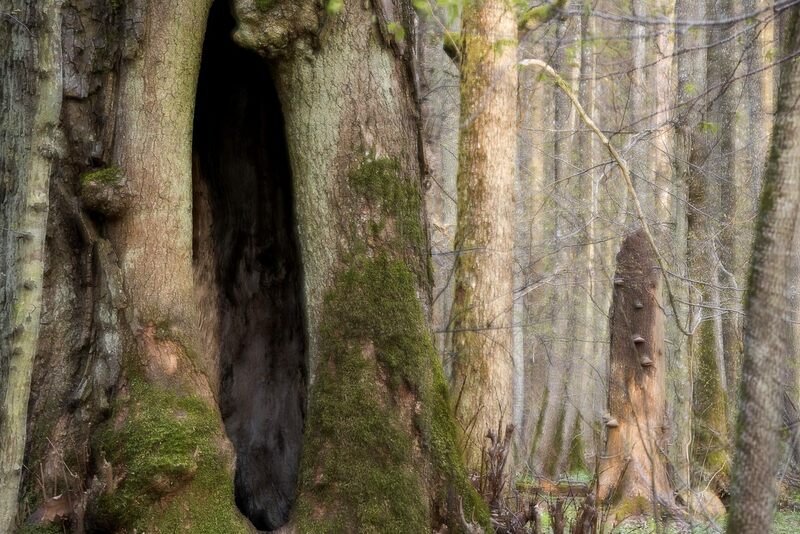 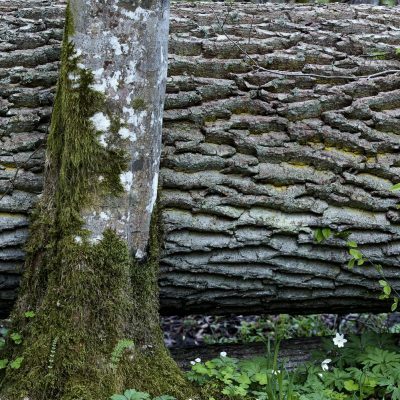 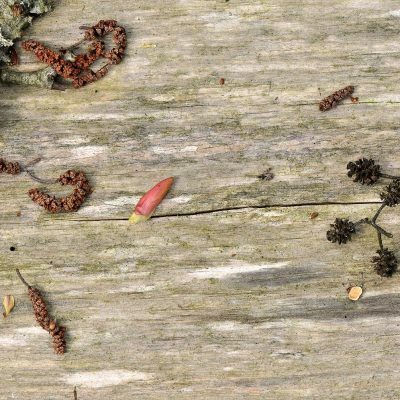 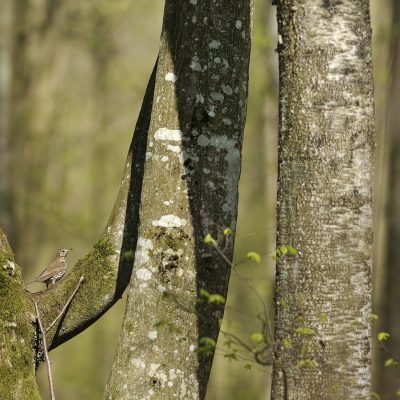 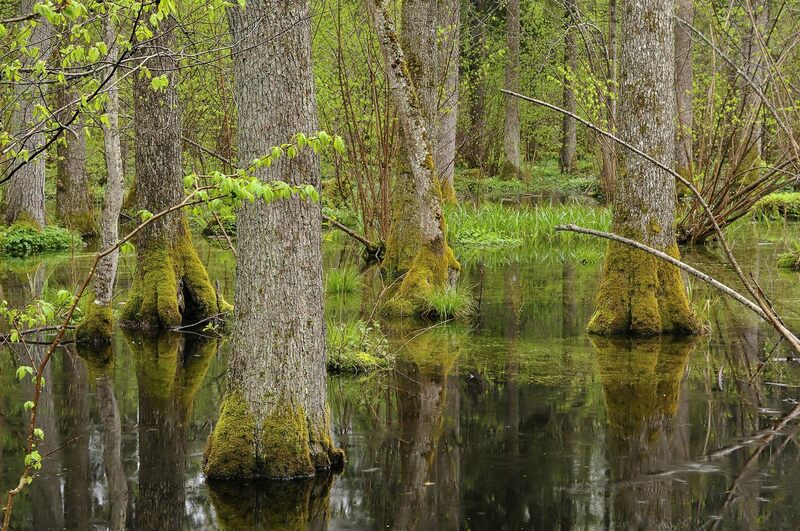 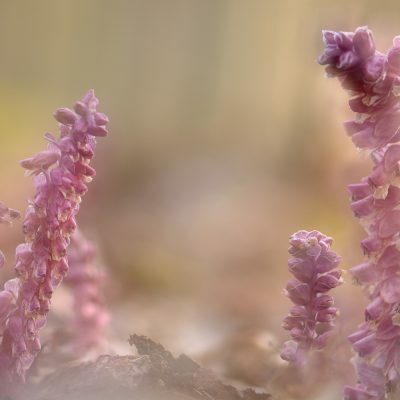 Do take a moment for a picture journey into the last well-preserved lowland deciduous and mixed old-growth forest, a precious remnant of the primeval forests that once stretched across the whole of Europe. 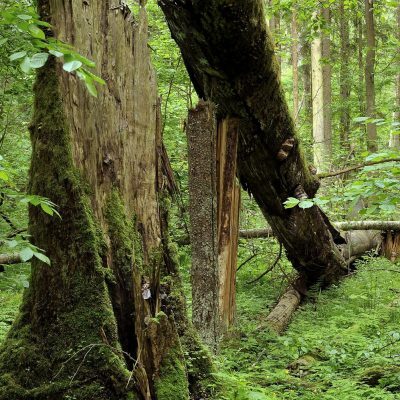 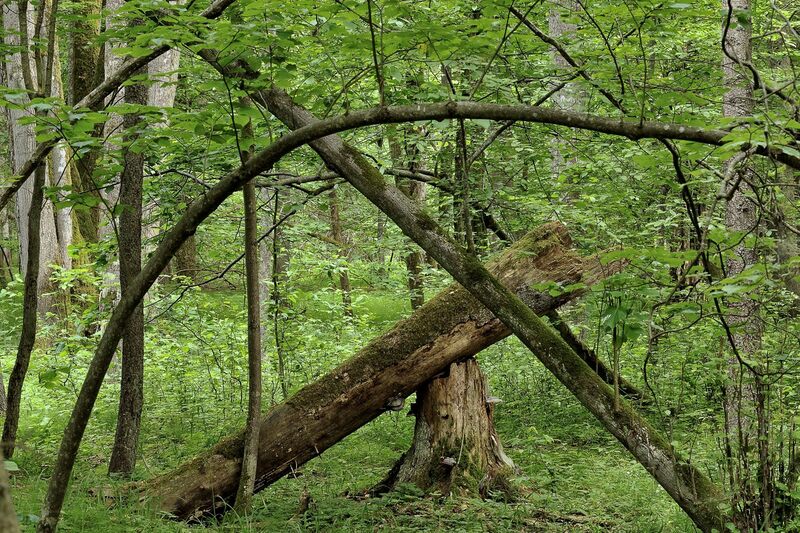 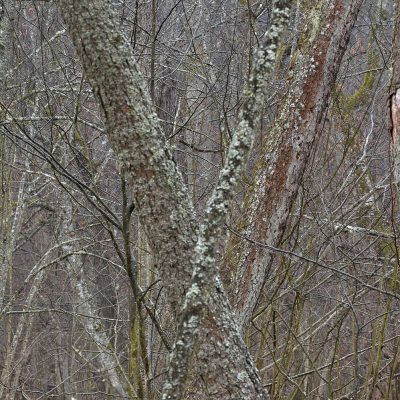 And if you wish to add your voice to those who are opposing the threat this sanctuary is facing today, please do take a moment to visit these sites, for the fight to defend the forest is more than just a fight to save this jewel.